Thank you for taking the time to look at details of our Partners & Supporters page. 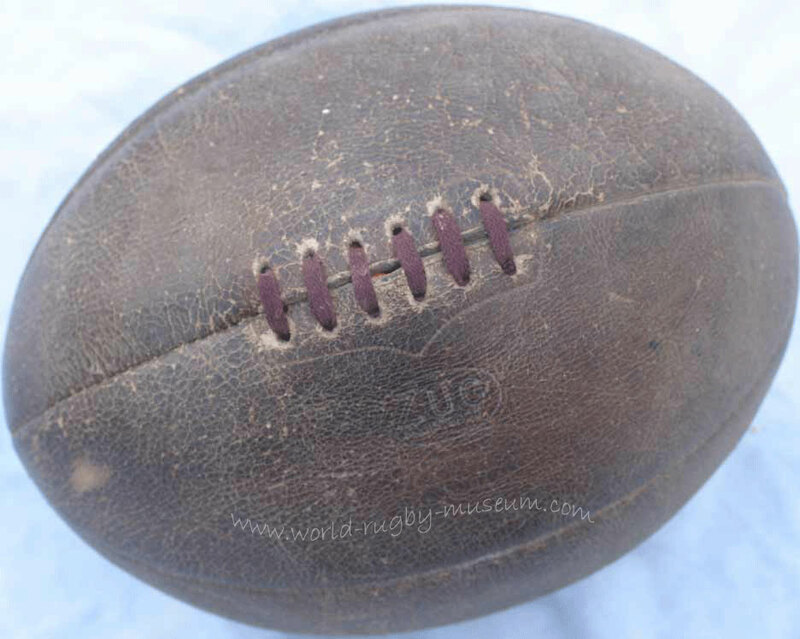 The aim of the “World Rugby Museum”. 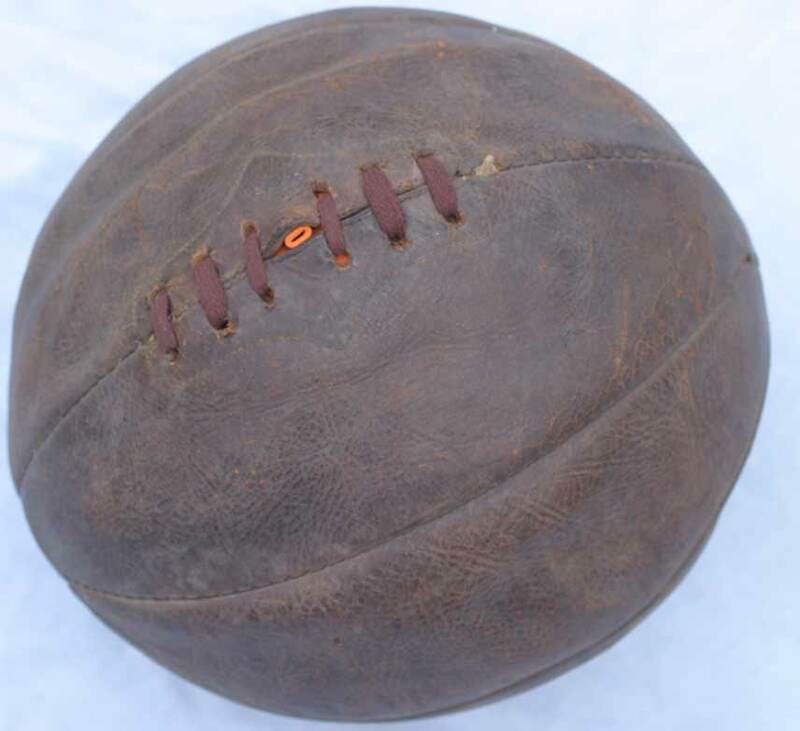 is to celebrate the history of the game of Rugby Football. 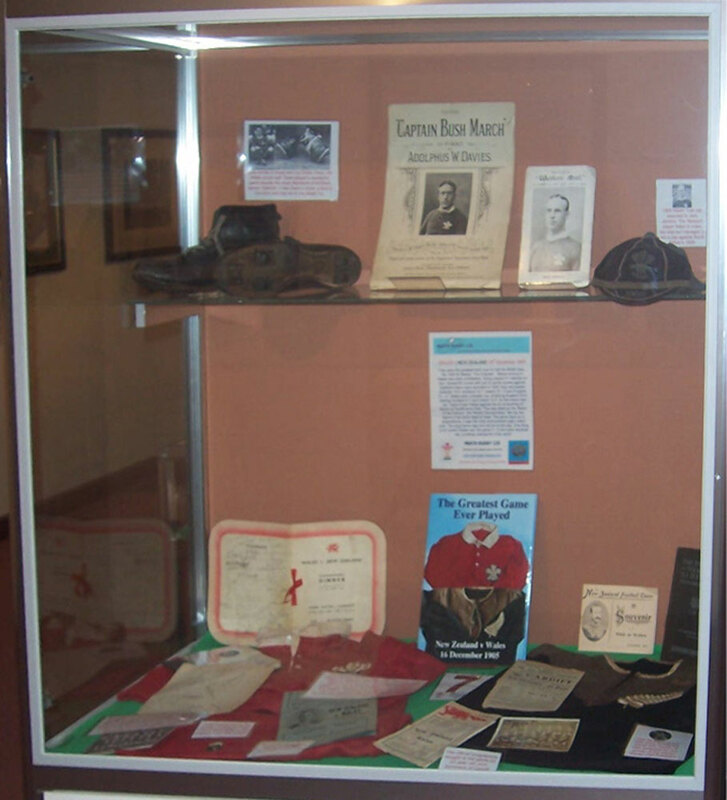 The display of memorabilia and artefacts relating to the sport help to illustrate the history of our great sport. 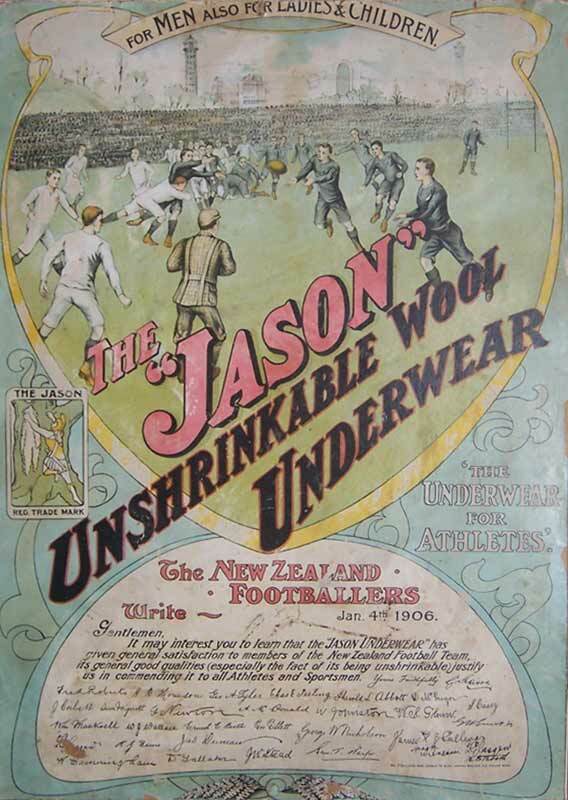 Rugby is a wonderful game, with a history that is both colourful and controversial. It is a game that has it's spawning ground in the public schools of England but has spread and diversified itself throughout the world. From the working class of Wales to the farmers of New Zealand, from the 4 provinces of Ireland to the Boers of the High Veldt in South Africa, from the Highlands of Scotland to the pampas of Argentina. 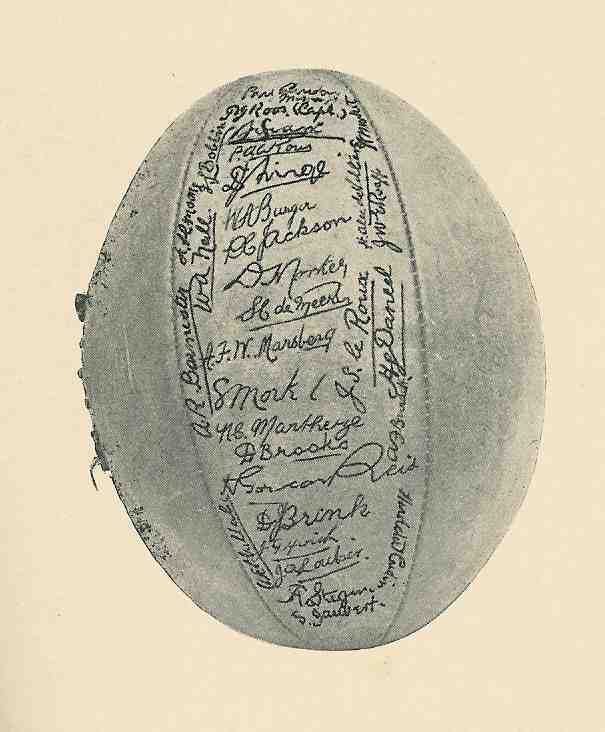 Rugby Football is truly universal sport, you can help us to celebrate it's history. We are currently looking for partners to display the collections of memorabilia we have available. 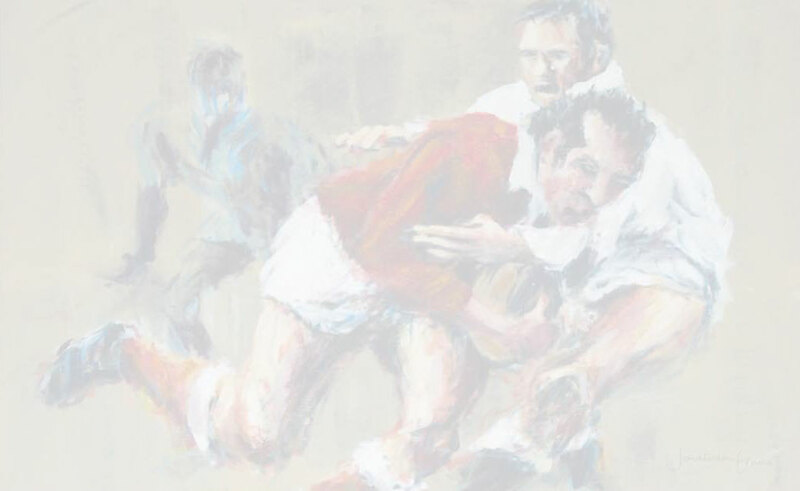 We believe that the history of rugby football should be celebrated in style, the stories of our great sport told with a display of memorabilia to add 'spice and flavour'. 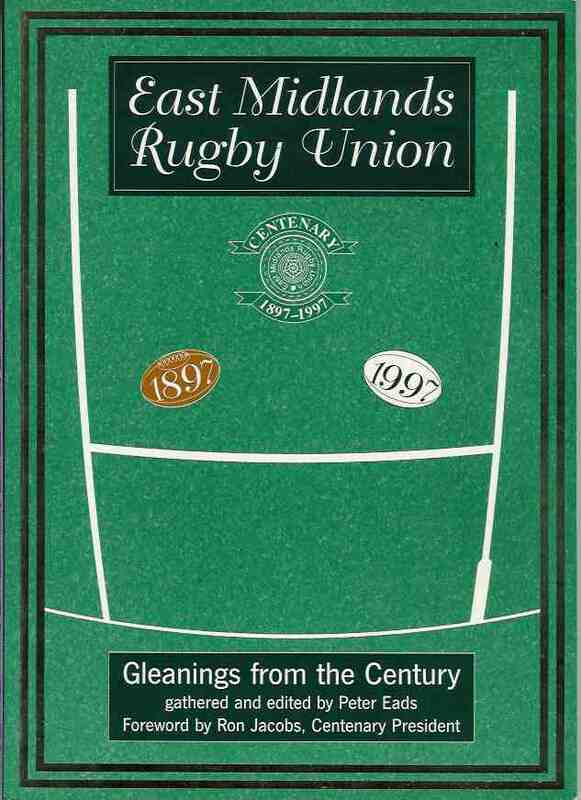 We are open to suggestions on how we can work together with prospective partners to further enhance these great collections and individual items of rugby memorabilia but the main theme must be that the partner undertakes to promote the history of Rugby Football. Partnership/Ownership - This is where the partner purchases the collection/exhibit. Terms to be agreed. Partnership/Hire - A partner can hire a collection/item for temporary exhibition. Terms to be agreed. 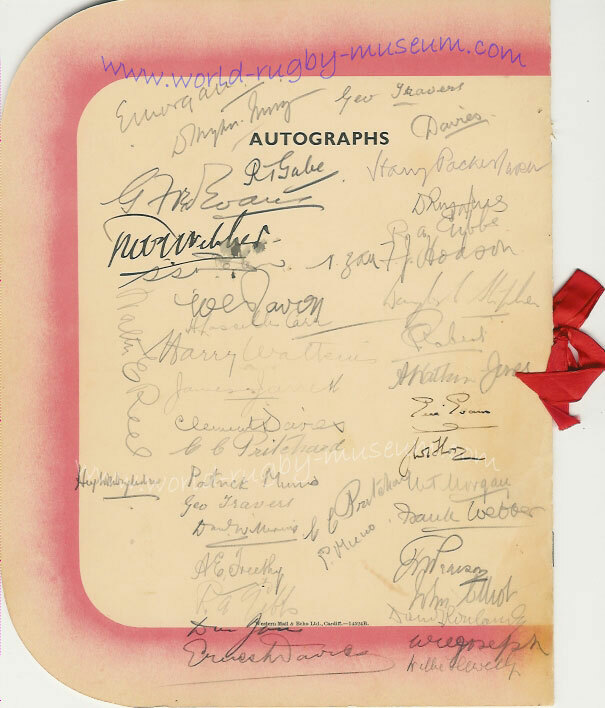 Our supporters work with us to promote the history of Rugby Football through the development of the World Rugby Museum website. As a supporter we will provide a reciprocal link to your website or we can even create a website for you if need be. As with our 'Partner Programme' we are open to suggestions with our 'Supporter Packages' if those below do not suit your needs. Our packages start at £25.00, please see below for pages & exhibits available. 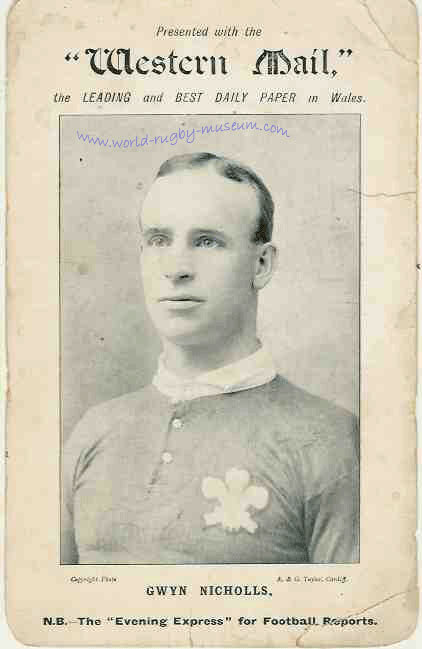 Jack Jones " The Prince of Centres"
If you are interested in working with us to promote the history of Rugby Football please email us with your thoughts. 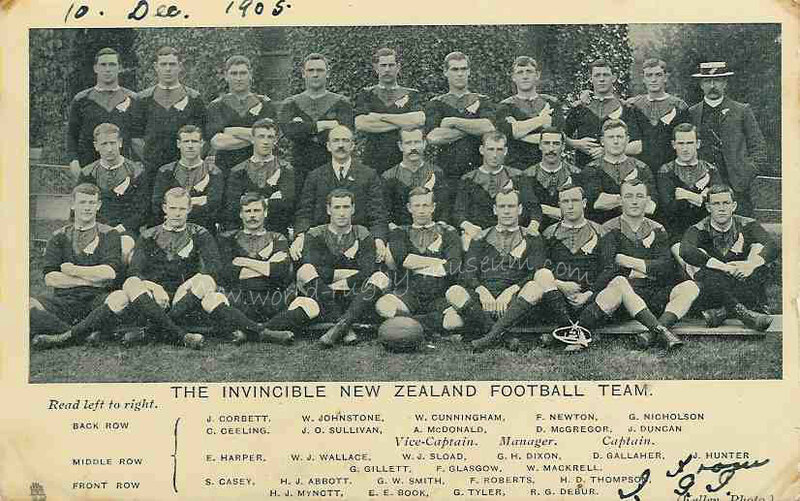 One of the greatest teams that ever was, the 1905 All Blacks, 'The Originals'. 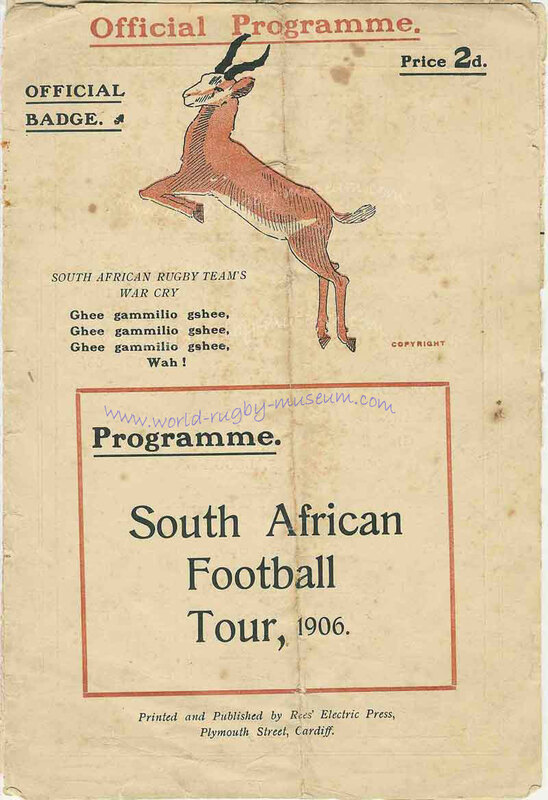 32 matches, 834 points for, 39 against, in comparison to the 1924 All Black Invincibles who scored 838 but had 116 points against, Gallaher's team were dominant in 1905, beating Australia 14-3, Scotland 12-7, Ireland 15-0 and England 15-0. As they scorched a trail through England and Scotland, the one note of defiance they heard was 'wait until you get to Wales'. Wales were unbeaten also, thrashing England 25-0, beating Scotland 6-3 and Ireland 10-3. So the scene was set, Triple Crown Wales against the all conquering All Blacks, the team that had never been beaten, EVER. The match ? 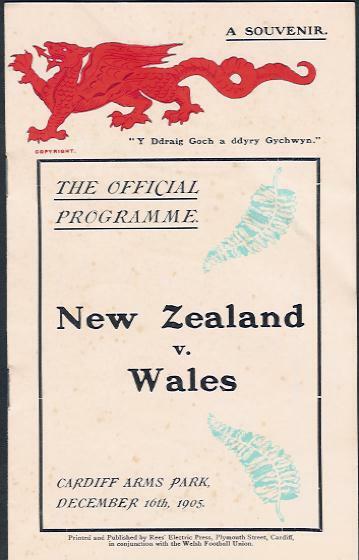 The match was the most controversial rugby match ever, Wales went ahead with a try by Teddy Morgan then the All Blacks thought they'd scored and claim that Dean's was dragged back from over the line. The arguments rage. 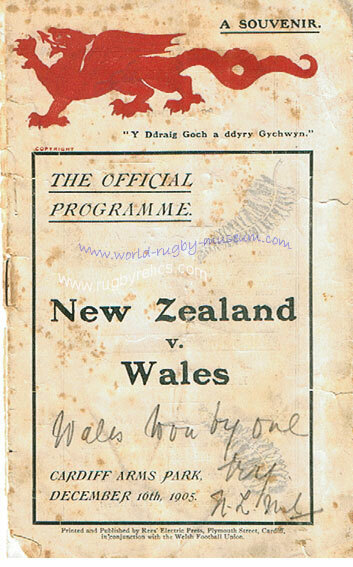 We are offering a collection relating to this tour and the to the Wales match.in particular. 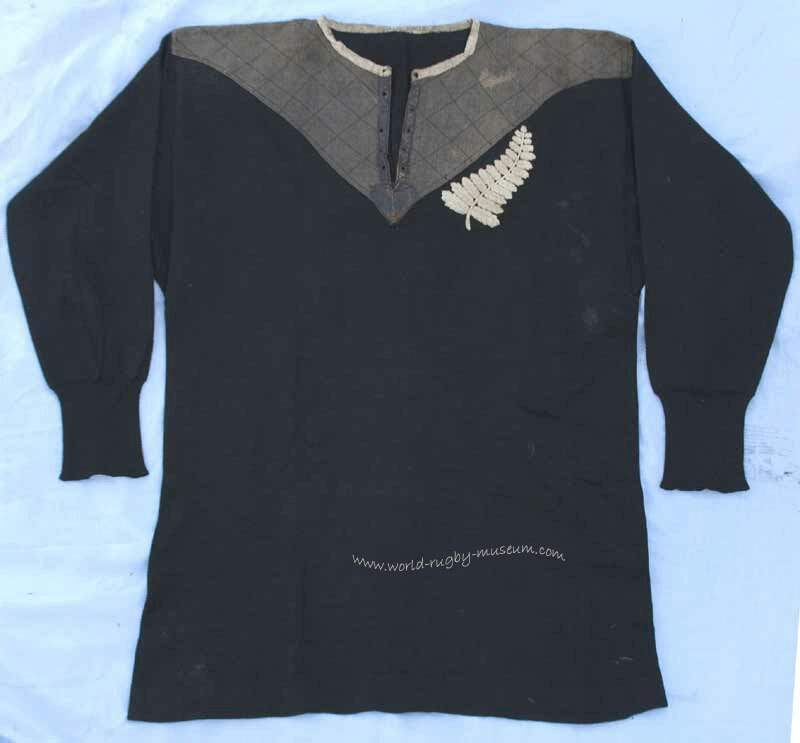 The star item in the collection is a 1905 All Blacks jersey swapped with Welsh player Cliff Pritchard after the match with Wales. 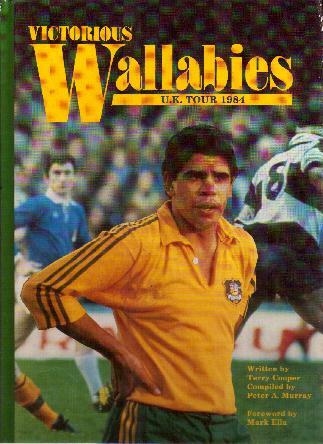 Cliff Pritchard was the Welsh 'Rover', the man who supplied the pass to Rhys Gabe who fed Teddy Morgan who scored the try. 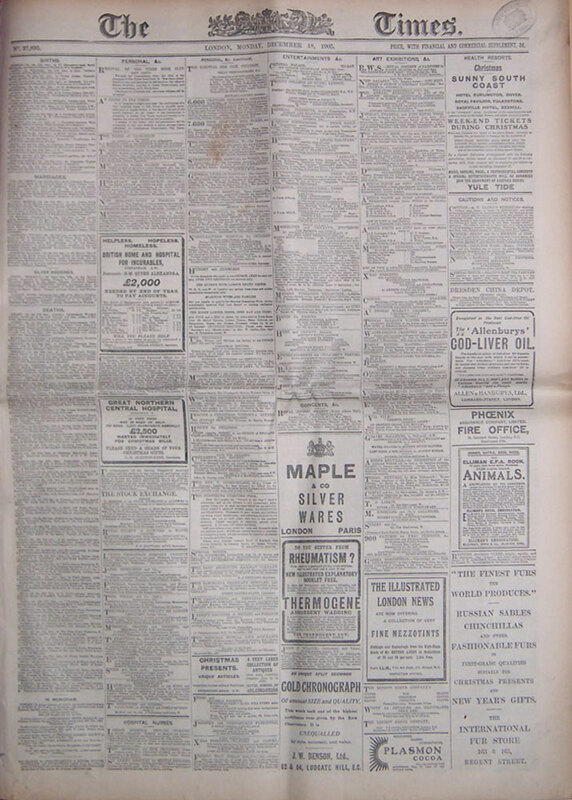 According to the local newspaper the Pontypool Free Press, Pritchard caught the train home to Pontypool and when he arrived in the station at 11.23 pm he was expecting it to be deserted. The station however was packed with well wishers. They then carried him shoulder high through the streets, very likely this jersey was draped over his shoulders as he was carried along by the jubilant crowd. 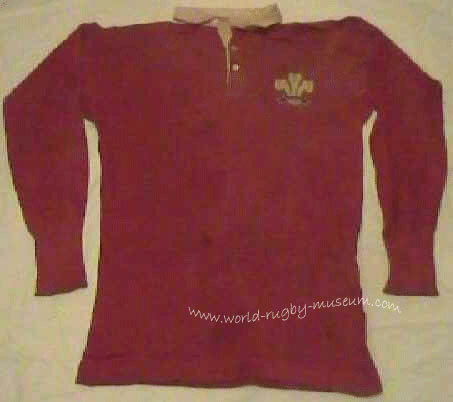 We are offering this jersey along with a number of other items relating to Wales and the All Blacks in 1905, the most famous of years. Our preferences with this collection are as follows. 1. We would prefer the collection to stay in Wales. 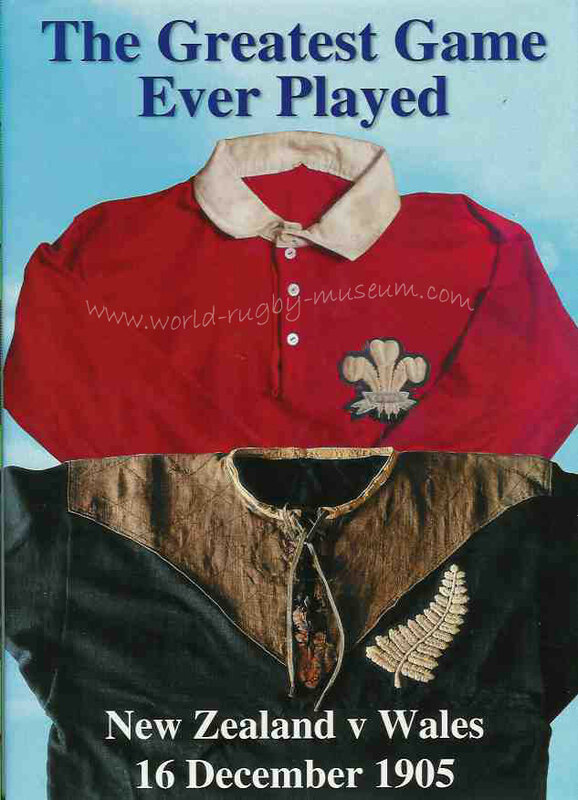 Item 1 - NZ All Blacks jersey swapped with Welsh Rover Cliff Pritchard after the game. 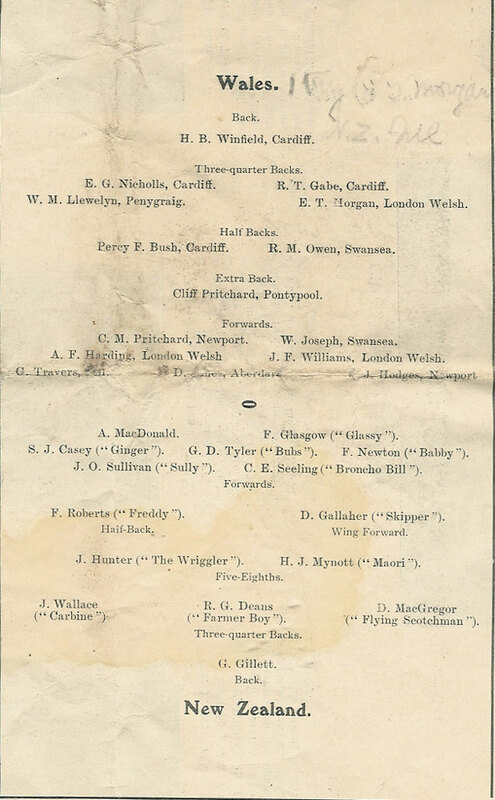 After the game dave Gallaher led his men to the Welsh dressing room and they swapped jerseys, Gallaher with Nicholls, Wallace with Llewellyn, we are unsure which All Black played in this jersey as Gallaher was Pritchard's opposite number. The jersey comes with provenance detailing it's origin. The quality of this jersey remains fantastic even to this day. 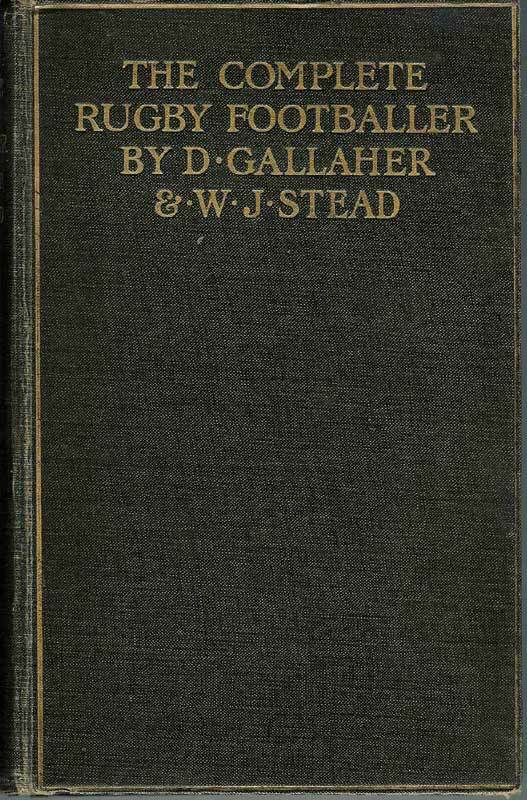 Item 3 - "The Complete Rugby Footballer" by Gallaher & Stead - A general rugby book by the captain & vice-captain of the All Blacks with a large section on the 1905 All Blacks tour. 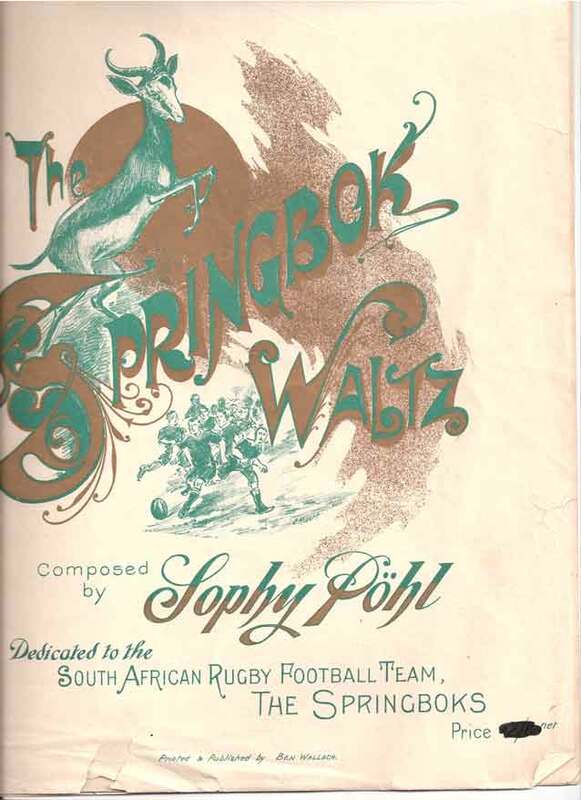 Written by the captain and vice-captain of the 1905 All Blacks. 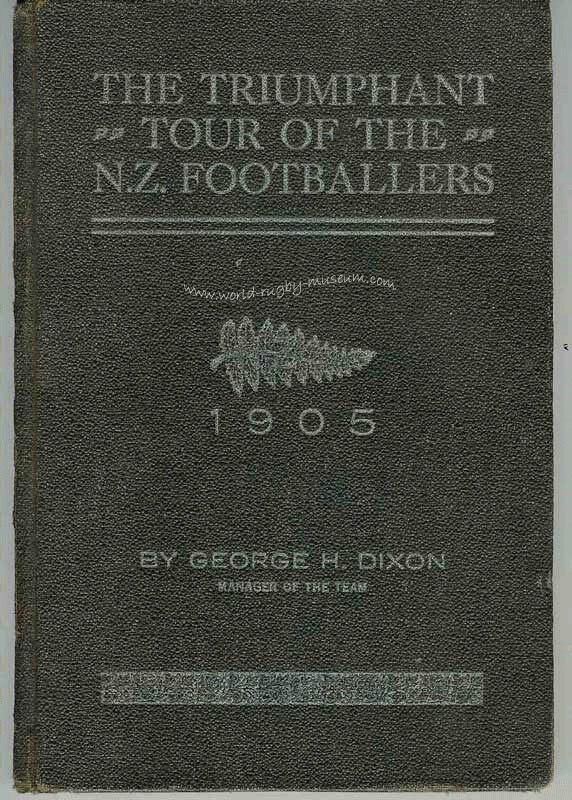 Item 4 - "The Triumphant Tour of the New Zealand Footballers 1905" by George Dixon - The manager's account of the tour. 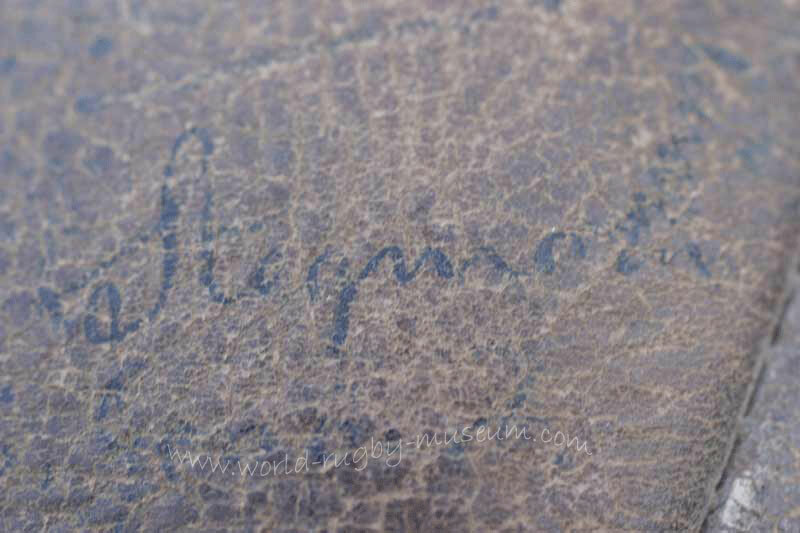 A presentation copy, hardback, copies sold to the public were softback, this is an original cover for the book which is in excellent condition. 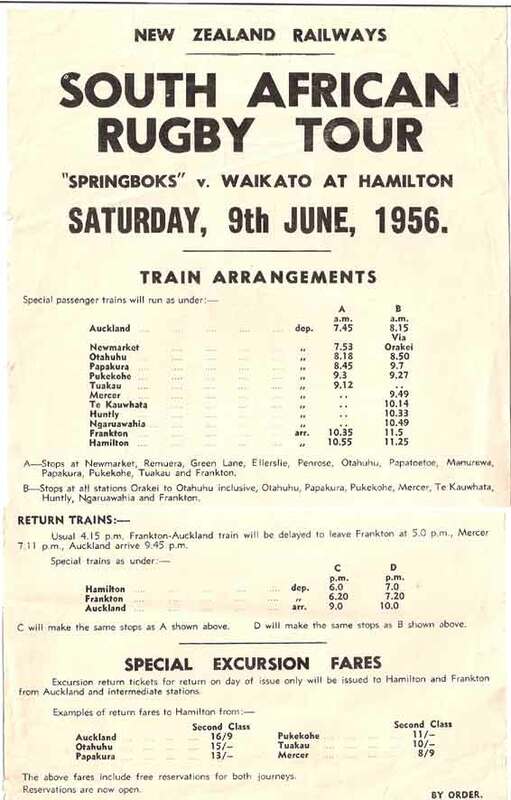 Item 5 - "Why the All Blacks Triumphed" by JA BUTTERY, Match by match coverage of the tour with post match comments by the leading rugby figures of the time, Arthur Gould, H Alexander, Billy Bancroft, Leonard Tosswill. This copy has been re-bound retaining original but very poor covers. 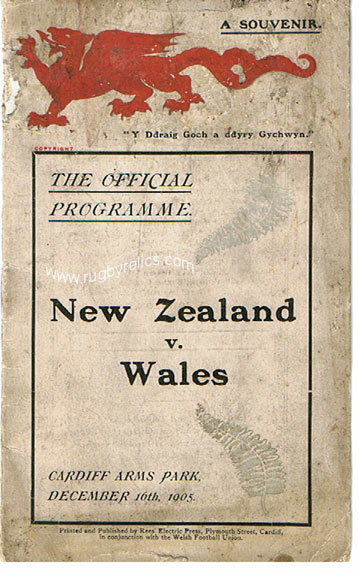 Item 7 - Modern reproduction of the official programme for Wales v New Zealand match. 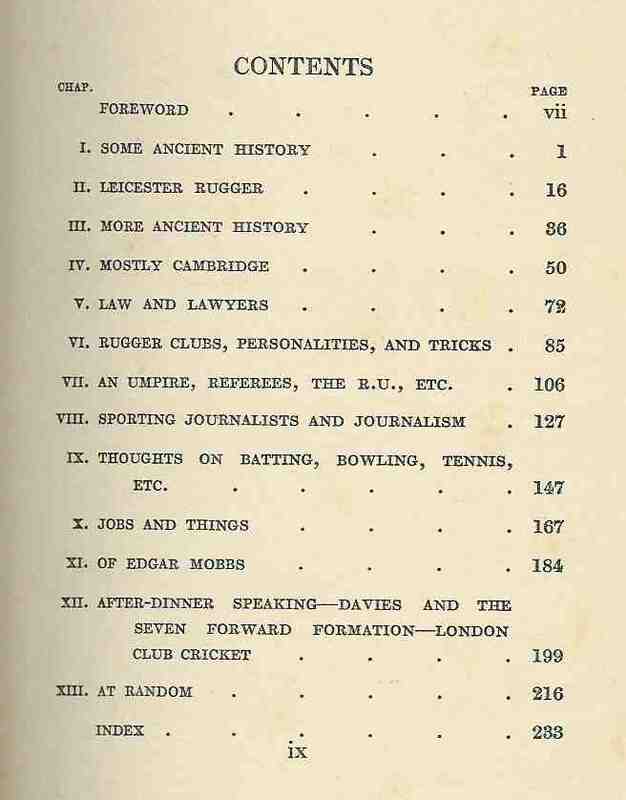 Item 8 - "British Sports and Sportsmen - Cricket and Football". 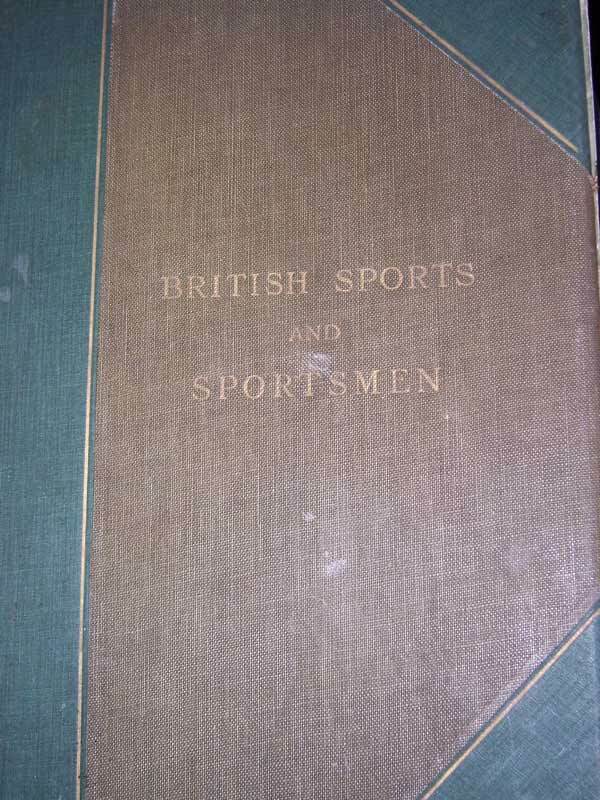 A large 573 page coffee table sized publication, No 140 of a limited edition of 1000 copies, compiled and edited by "The Sportsman", published in 1917. 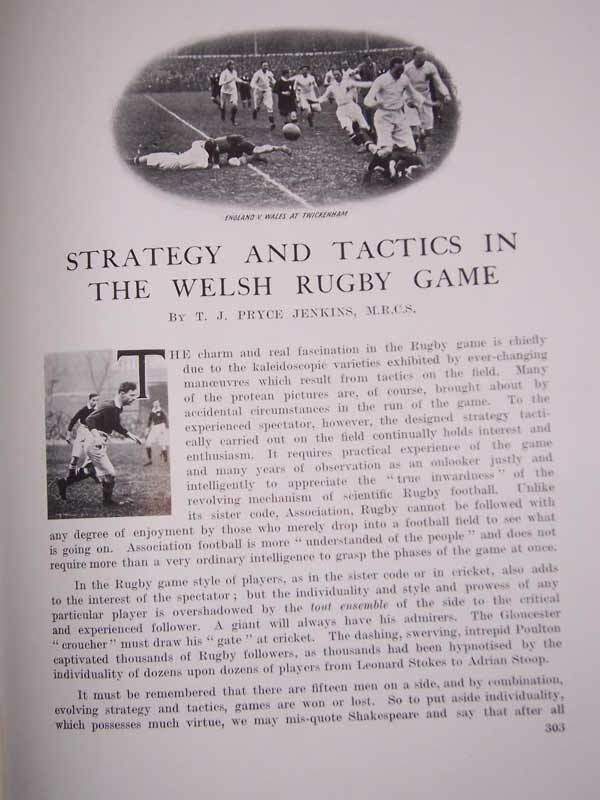 A notable inclusion into this collection because of the chapter "Strategy and Tactics in the Welsh Rugby Game" by TJ Pryce Jenkins (Welsh International 1888, founder of London Welsh RFC). 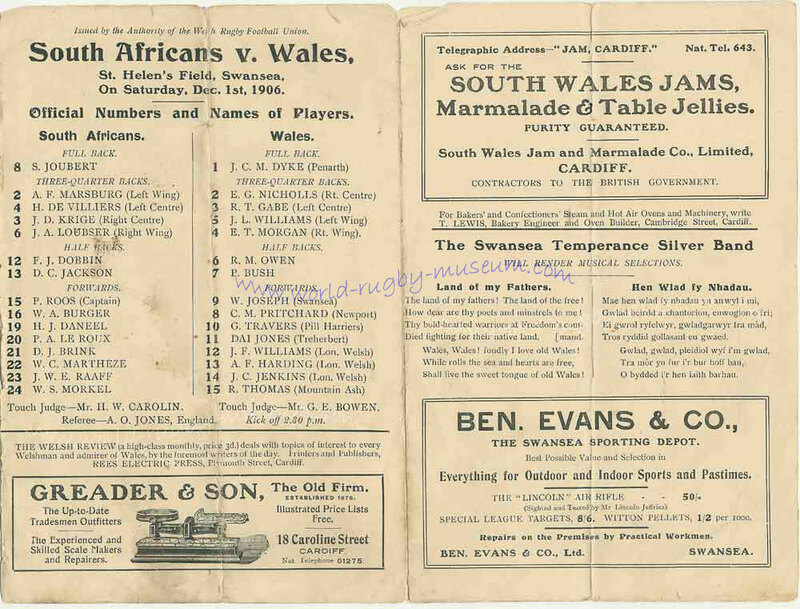 This chapter deals in depth with the tactics of the 1905 All Blacks and why they swept all before them and the counteracting tactics used by the Welsh team to defeat the All Blacks. 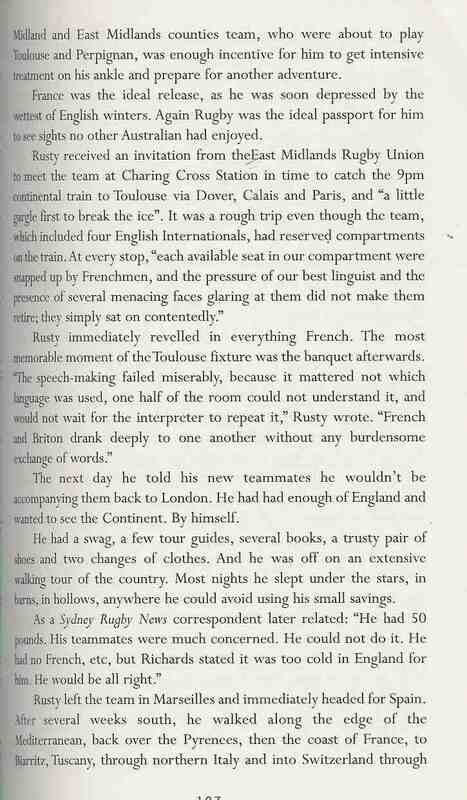 Most publications deal with the Morgan try and the Deans incident but this is an in depth intelligent look at the tactics used by both teams, in his introduction to the All Black tour Jenkins states "The New Zealander's practically "walked over" our greatest English teams in the most surprising manner. 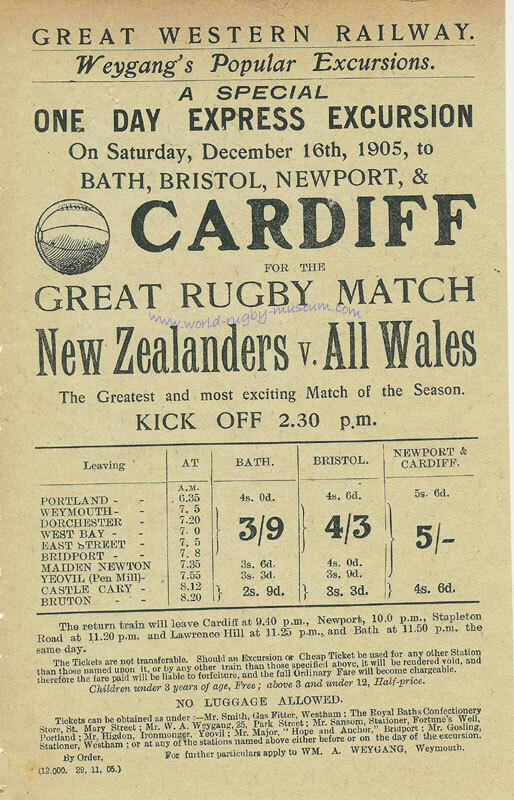 There is no more convincing argument in favour of a knowledge of strategy and tactics than the counter moves performed by the Welsh clubs and the Welsh international team against the conquering All Blacks when they crossed the Severn." 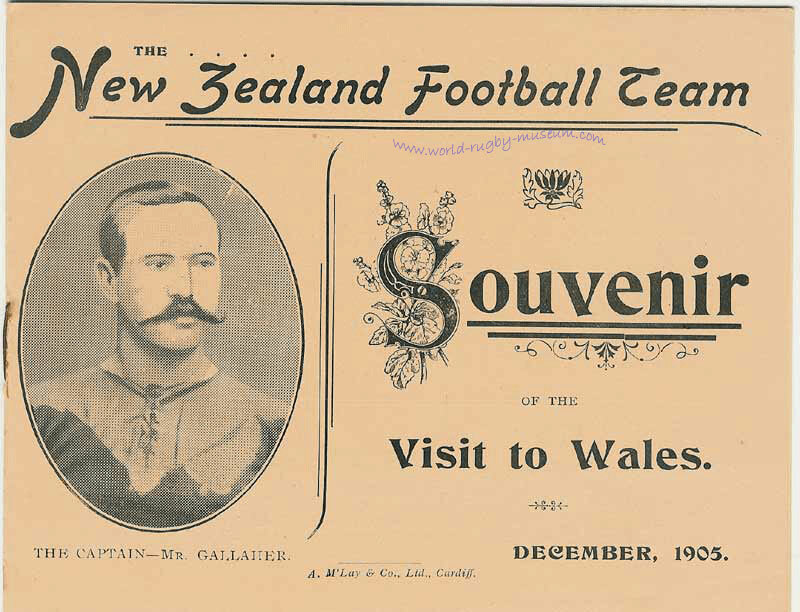 Item 10 - 12 page booklet titled "The New Zealand Football Team Souvenir of the Visit to Wales". 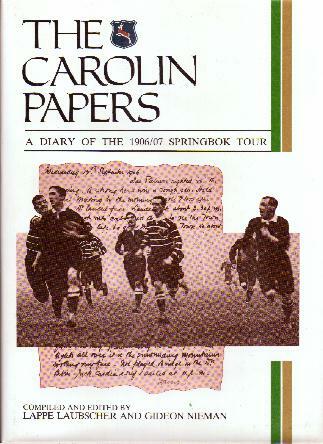 printed prior to the All Blacks visit this quaint little booklet is published by A M'Lay & Co. Ltd of Cardiff. 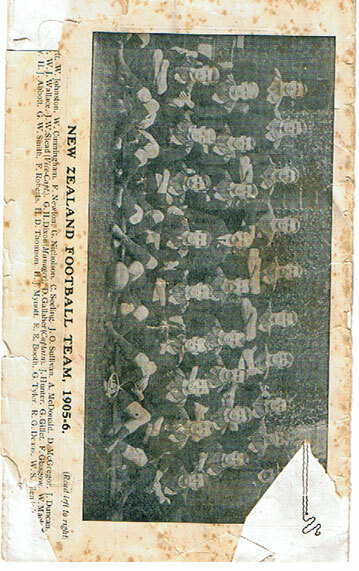 Item 12 - Vintage colour postcard of 1905 NZ team, used, dated 24/12/1905, postmarked Devon. 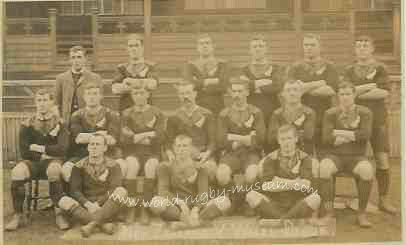 Item 13 - Vintage squad photo of All Blacks, unused. 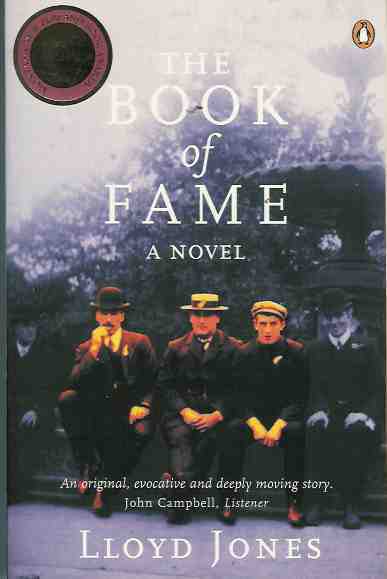 Item 15 - "The book of Fame", a modern paperback novel by Kiwi Lloyd Jones, in diary form it is an account of the All Black tour from start to finish, it draws much on the newspaper accounts of the period. 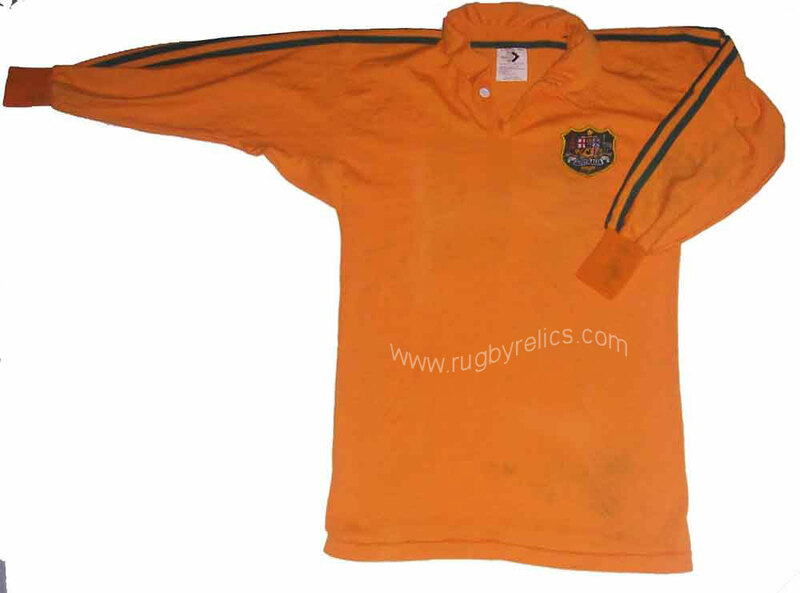 Item 16 -Revenge of the All Blacks A 1924 Welsh rugby jersey. 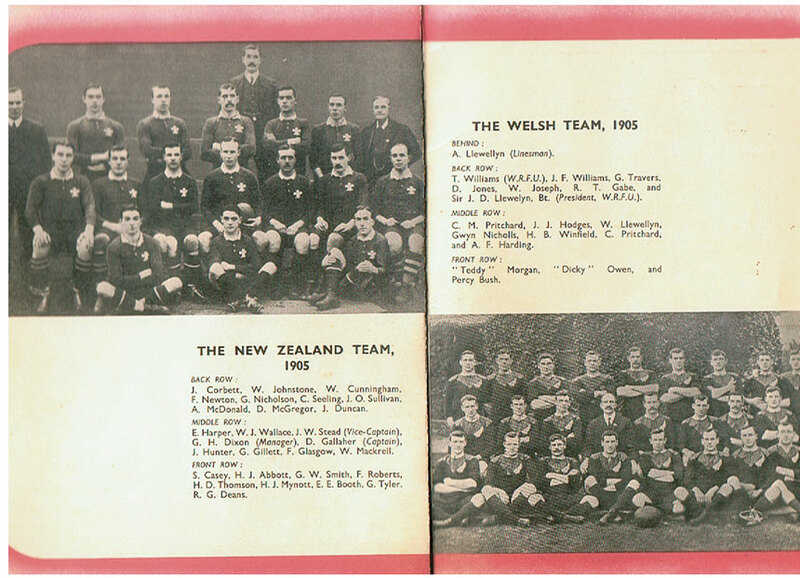 The next tour to follow the 1905 All Blacks were the all conquering 1924 All Black Invincibles who defeated Wales 19-0. 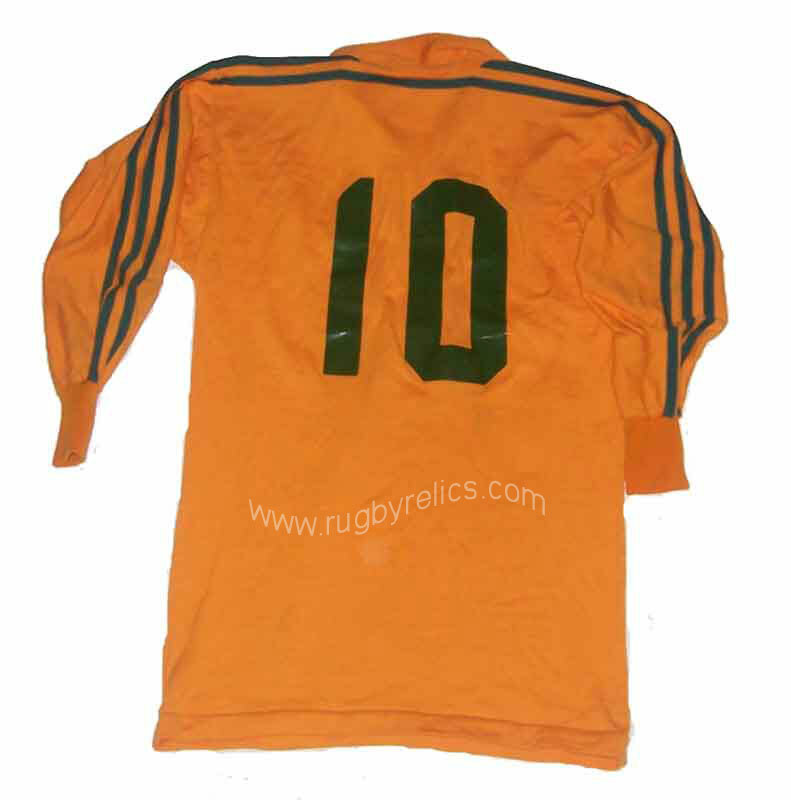 This Welsh jersey was taken back to New Zealand by an All Black player Les Cupples, who played as a forward in this match. WRM has rescued this jersey from the land of the long white cloud and brought it home to Wales. The jersey is a number 15 and was worn during match by Jack Gore, the Blaina forward and father of Billy Gore. 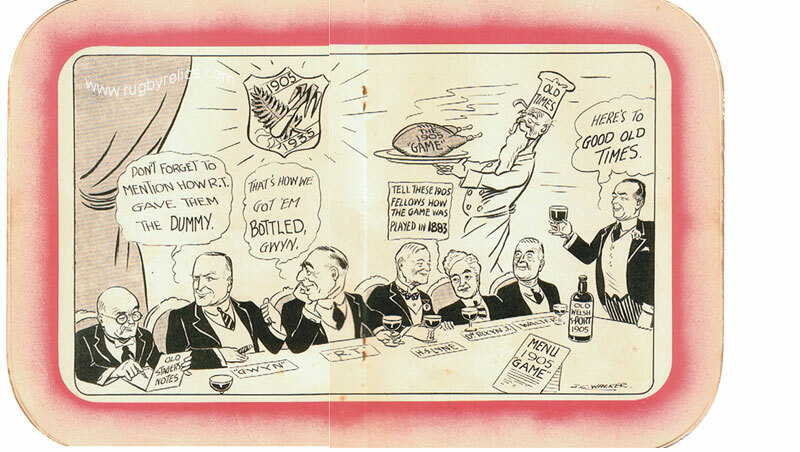 Jack won 4 caps for Wales in 1924 & 25. Item 17 - Welsh Trial Cap 1905 - This cap belonged to Jack Jenkins who went on to gain his only cap in 1906 against the Springboks. 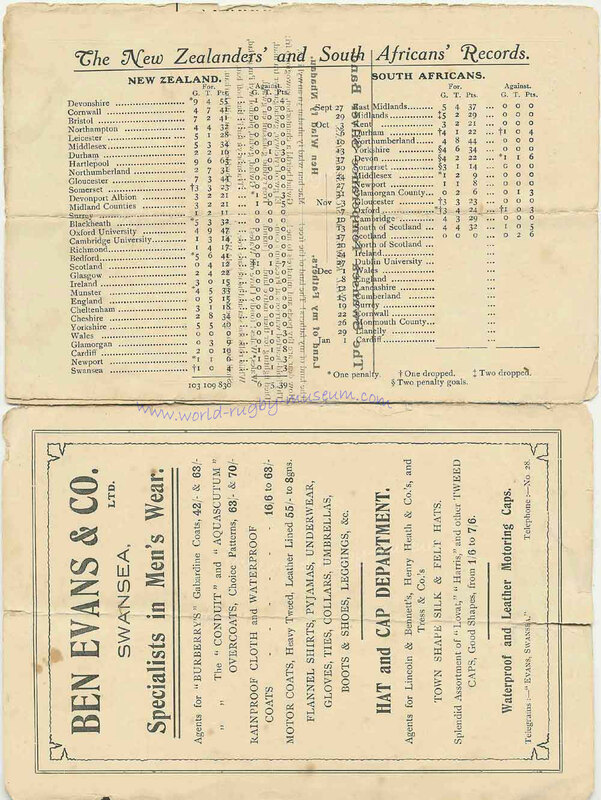 Item 18 - A "Western Mail" Giant Postcard featuring 1905 Welsh captain Gwyn Nicholls. 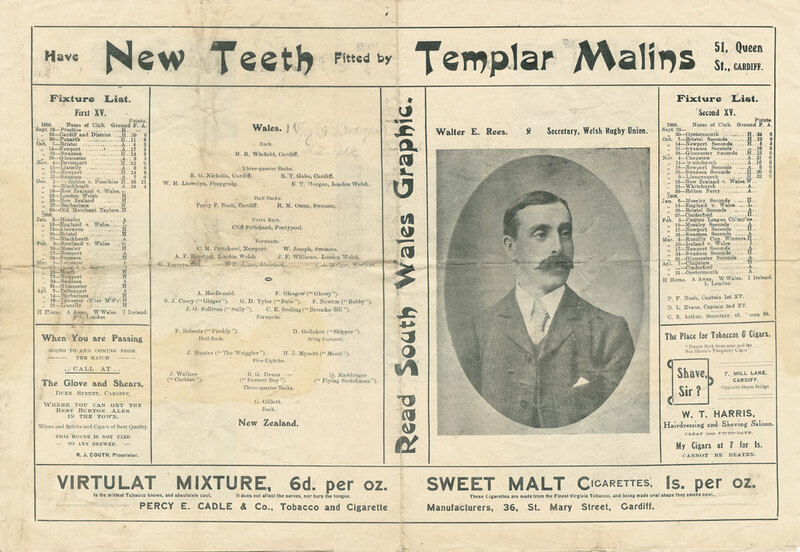 The postcard was a presented with the paper, we believe soon after the New Zealand game. The total size is 22cm x 13cm. 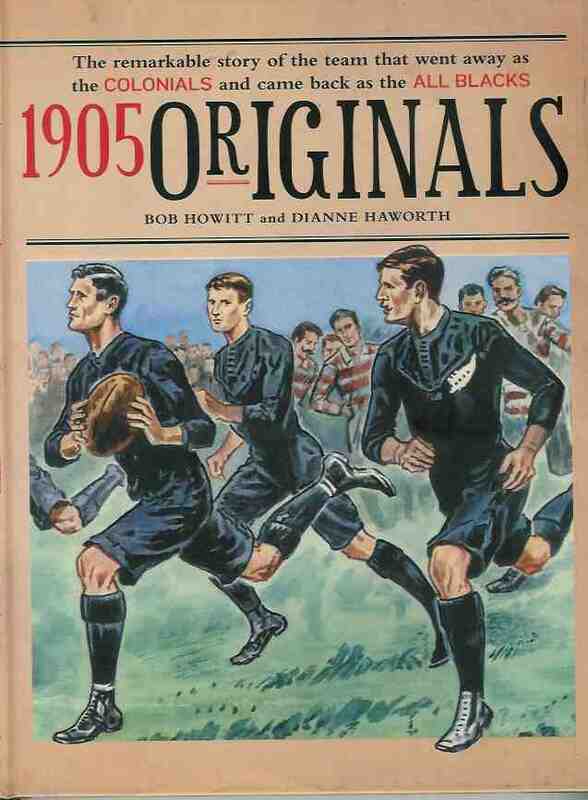 Item 21 - Recently published book on the 1905 tour - "1905 Originals" by Bob Howitt & Dianne Haworth. 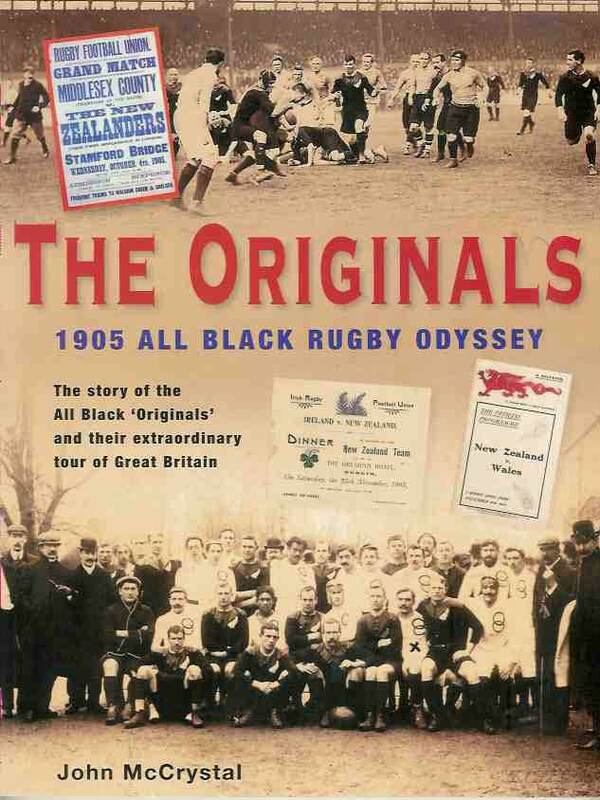 Item 22 - Recently published book on the 1905 tour - "The Originals - 1905 All Black Rugby Odyssey" by John McCrystal. 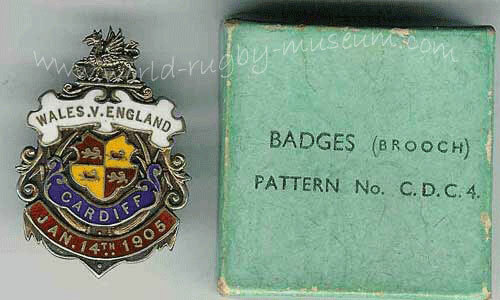 Item 24 - Wales v England 1905 players brooch/badge. 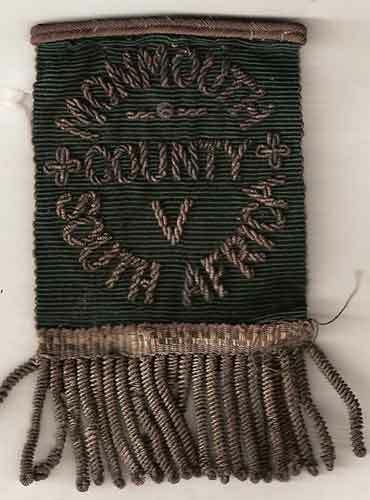 These badges were presented to the players & possibily committee. It is made by Crouch of Cardiff and hallmarked, believed to be 8ct gold, still in original box. 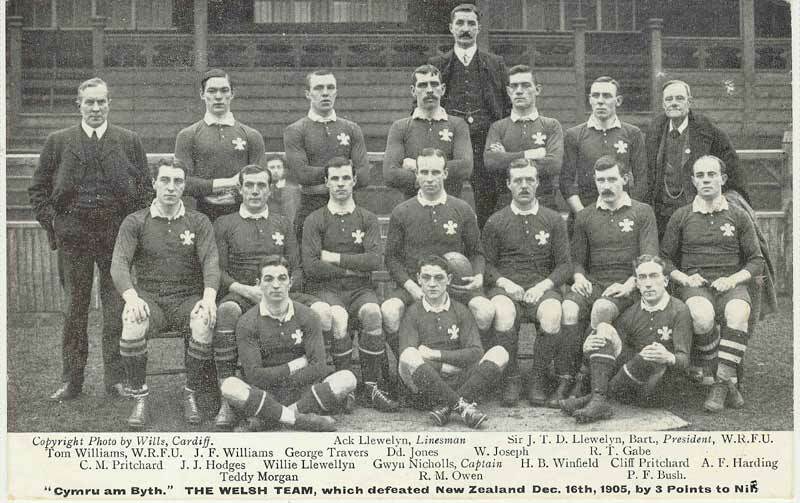 Item 28 - Original photo of Welsh team. This is a quality photograph of the team, approx size 15" x 11" mounted on board. 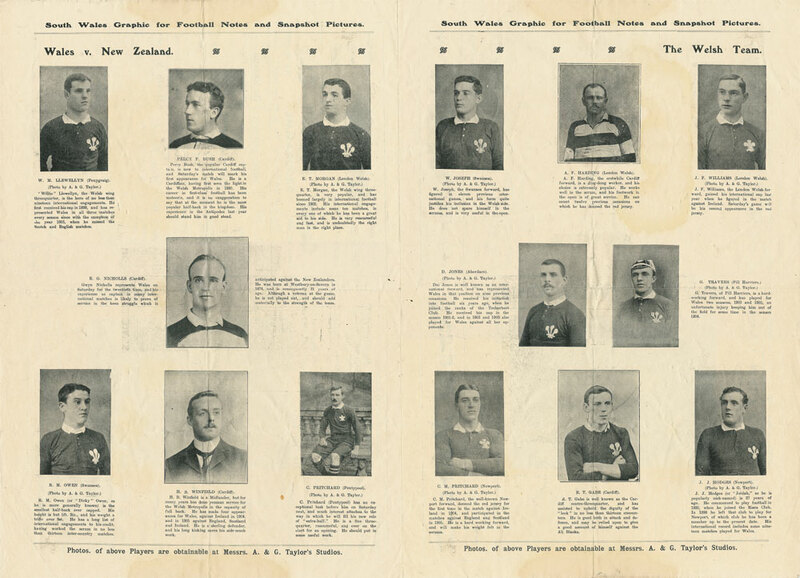 We believe the photograph to date from 1905 and to have been presented to a player, probably Percy Bush, it is identical to the one presented to Willie Llewellyn by the WFU.. Cuttings from a book bearing the teams, scorers and photo line up have been pasted to the lower edge of the photo. The total size including mount is 21" x 17" inches = 51 cm x 43 cm. We suggest pairing this photo with the team autographs (WRM-0663) . 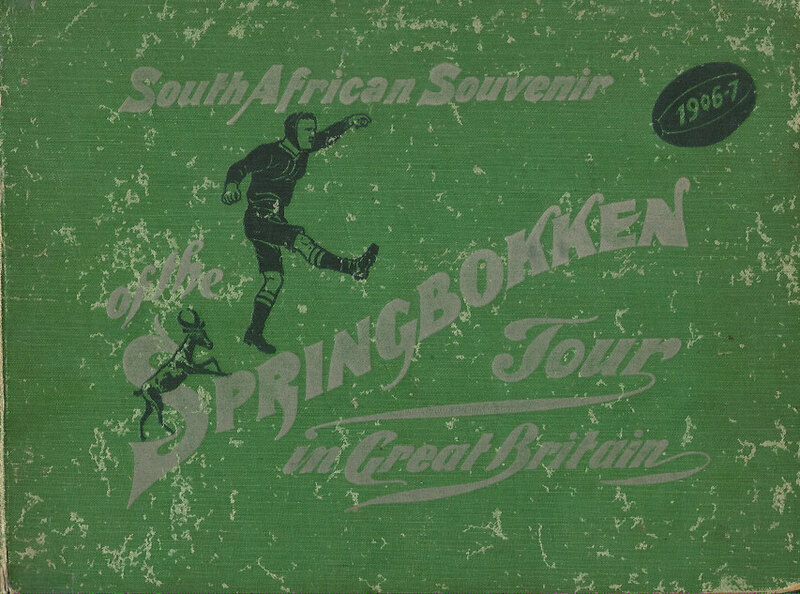 Item 30 - The official programme 1905 souvenir reprint. 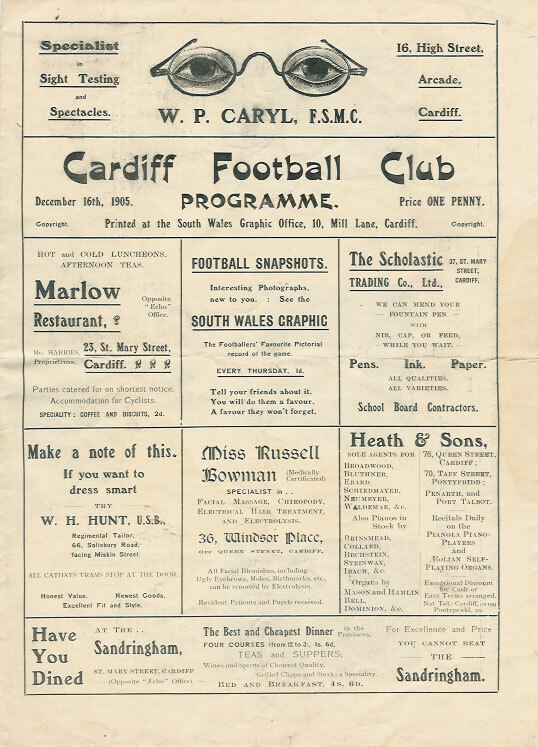 The souvenir is exactly the same as the official programme apart from being printed onto card and with the match score and photos of Teddy Morgan & Gwyn Nicholls added to the centre pages. 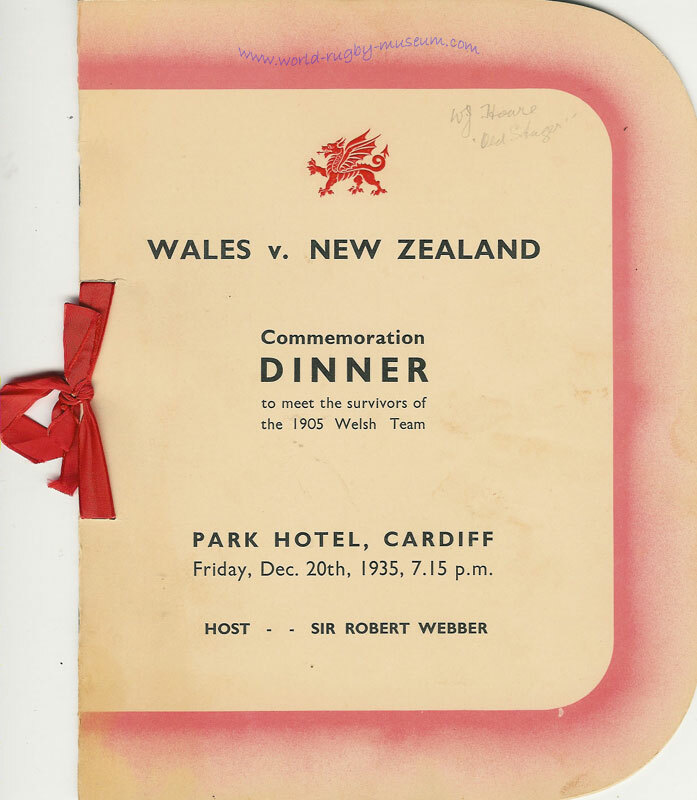 We are unsure of it's origin but the fact that it is printed on card suggests it may have been a keepsake presented to the players or committee of the Welsh Rugby Union. 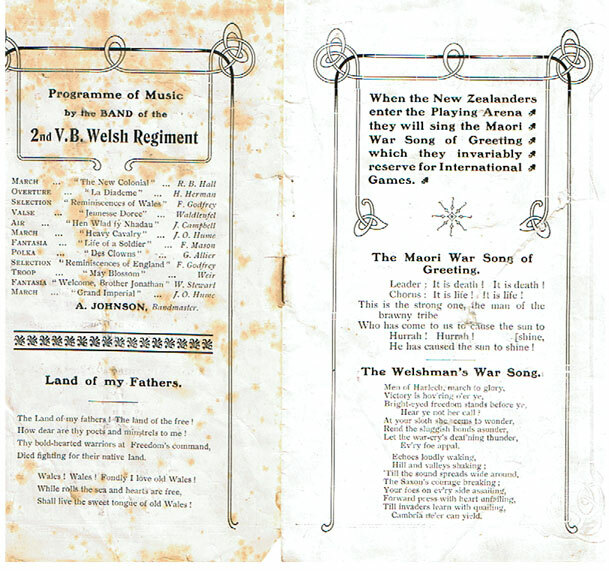 The condition is fair with soiling to the front and back covers resulting in some minor loss to the text. Inside the programme is clean with some minor notations to the team pages. 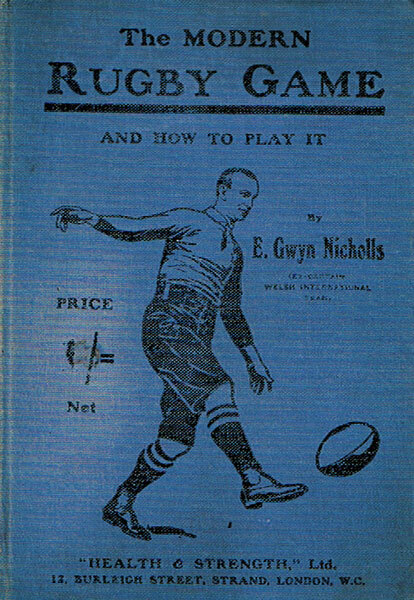 Item 32 - A book by Welsh captain Gwyn Nicholls published in 1908, titled "The Modern Rugby Game". Primarily a coaching book Nicholls draws on his personal experiences as a player to highlight the various facets of the game. Includes a detailed description of the scrum tactics that 'stole' the loosehead from the All Blacks. 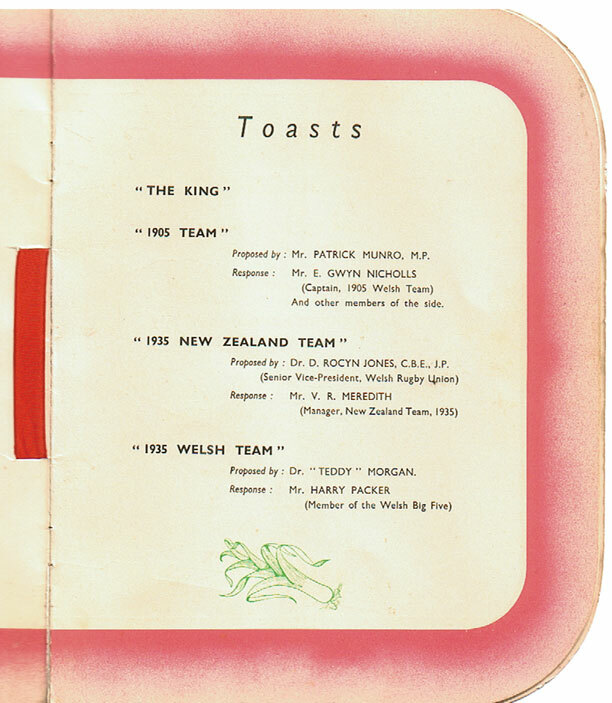 Item 33 - "Captain Bush March" - music dedicated to stand off Percy Bush, the Cardiff captain who won his first cap in this match. 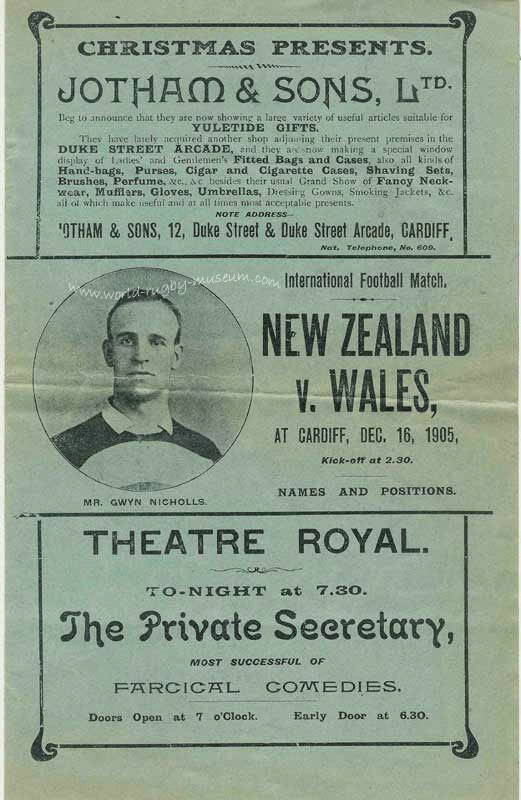 Item 34 - Postcard of "The Invincible New Zealand Football Team" published by Tuck & Sons, published prior to the Welsh game and postmarked 11th December 1905, five days before the Welsh match. Without doubt ! 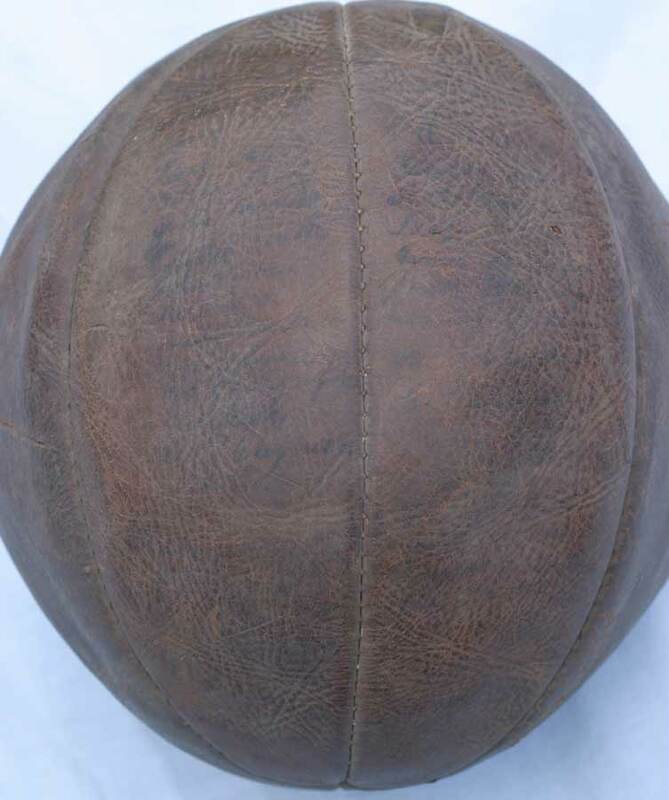 this is one of the finest collections in the world relating to the most historic game of rugby ever played. We welcome enquires from prospective partners interested in exhibiting this collection! 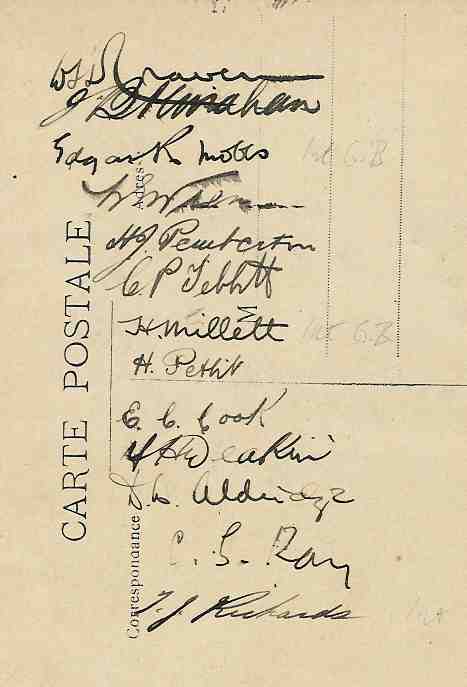 Item 1 - A signed postcard of the combined East Midlands and Midland team that toured France in 1913. 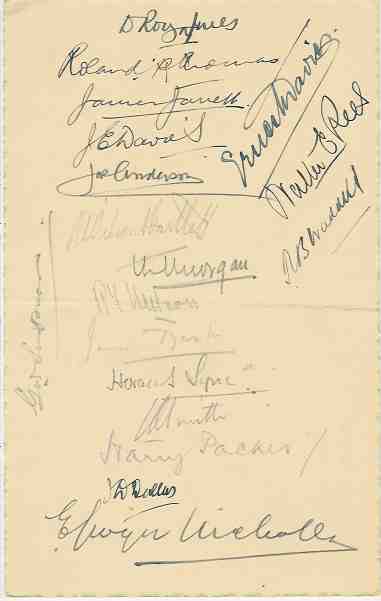 The card is autographed to the reverse by 13 of the tour party including Captain Edgar Mobbs and one of rugby's greatest adventurers, Tom Richards, one of only two men ever to play for the both the British Lions and Australia. 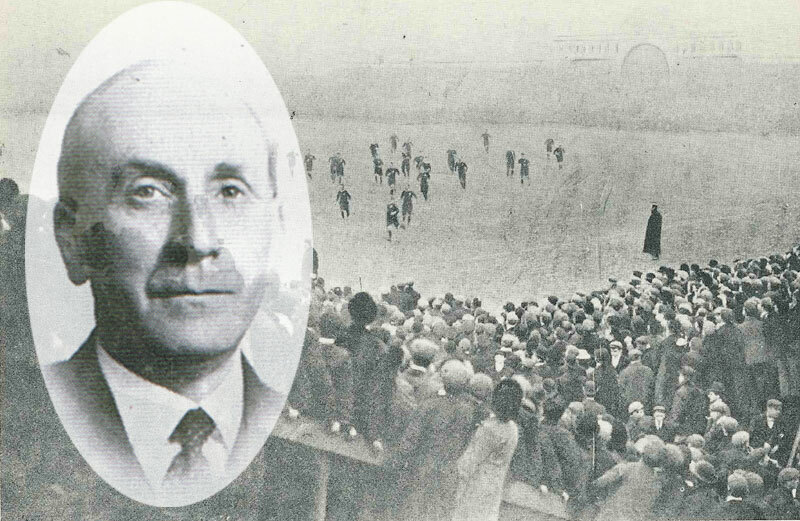 HJ Pemberton - possibly related to RJ Pemberton who played for Northampton, 1 game in 1912/13. 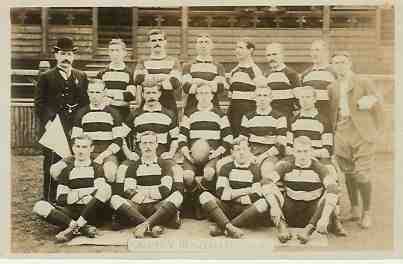 CP Tebbitt played 147 games for the Saints between 1911 and 1924, scoring 17 tries, 3 penalties and 60 conversions. EC "Teddy" Cook is a Saints legend, 263 games between 1908 and 1923 and scored 219 tries (still a club record) - and one conversion! His total of 51 tries in 1910/1 is also still a club record. Somehow he never got an England cap. Illustrated - 1. 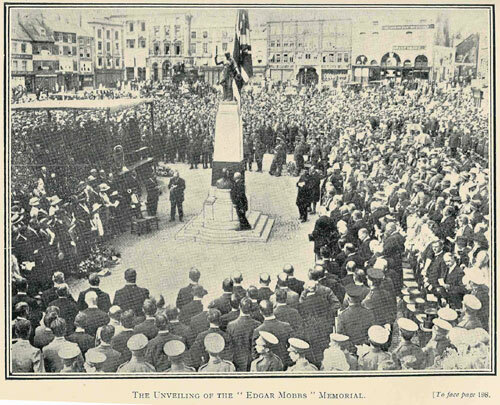 - Henry Grierson's "Rambling of a Rabbit" contents, 2 - Start of the chapter on Mobbs - 3 - The Unveiling of Edgar Mobbs Statue in 1921 at Northampton, 4 - "The Mobbs Own" history of the 7th Battalion Northamptonshire Regiment. 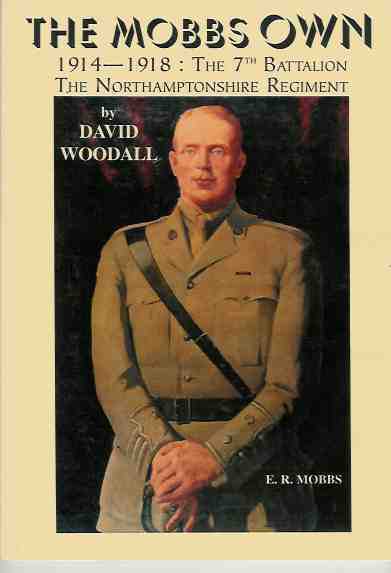 EDGAR MOBBS was one of the great leaders of the 20th Century. 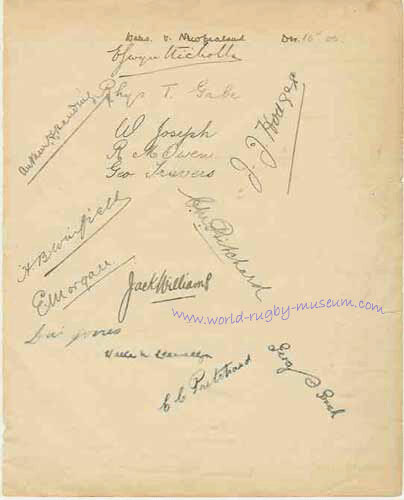 After captaining the Midlands XV in the Wallabies only defeat in England during their 1908/9 tour, he made his international debut against the Olympic champions later on the tour, playing in a total of 7 internationals including captaining the side against France in 1910. 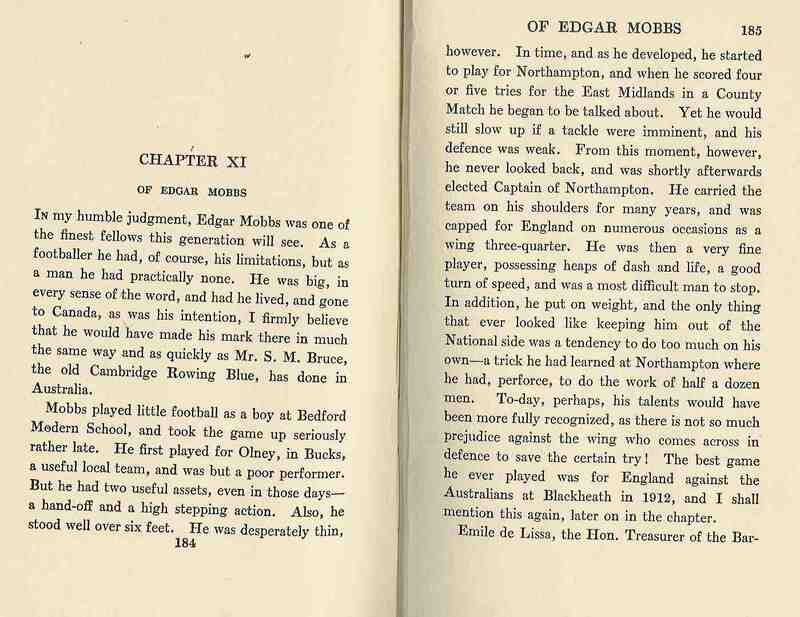 At club and county level Mobbs was a prolific try scorer crossing his opponents line 6 times on at least 3 occasions. 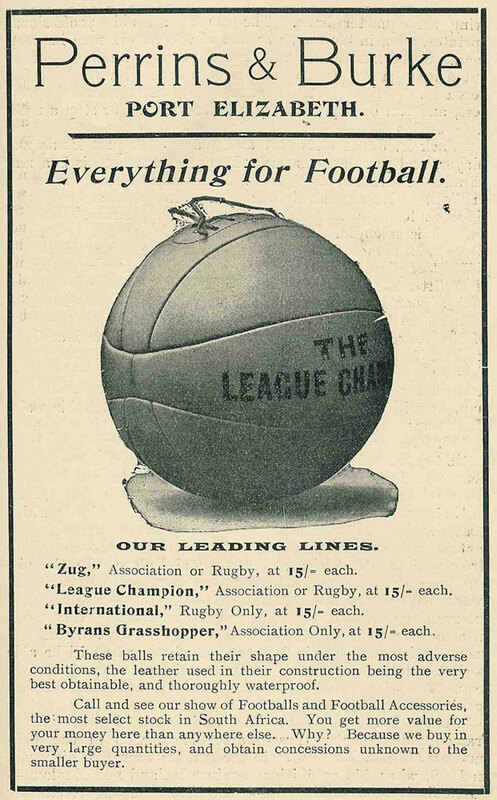 Although a superb footballer Mobbs is most widely known for his wartime leadership. 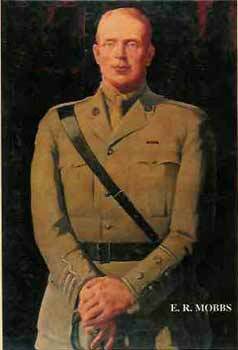 At the breakout of World War One he was refused a commission on the grounds that at the age of 32 he was judged too old. 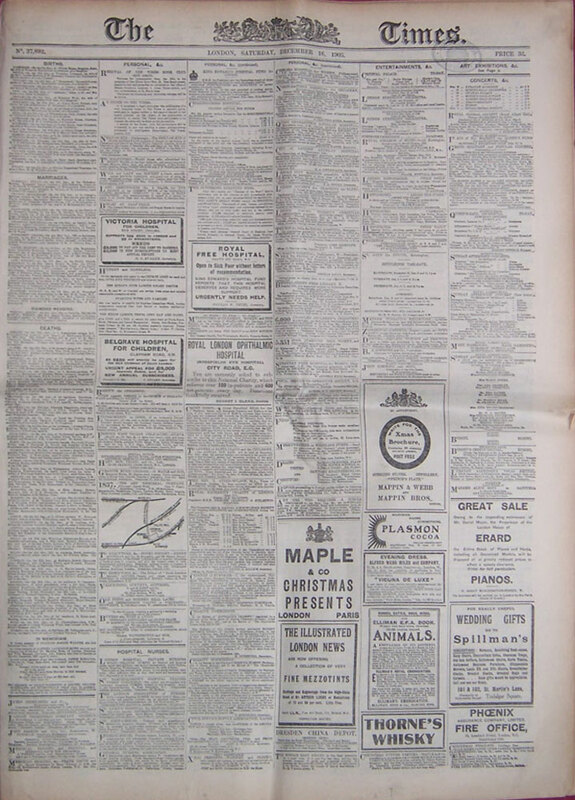 Un-perturbed by officialdom the Northampton man went away and encouraged local sportsmen and friends to join 'D' Company of the 7th Northants Battalion. 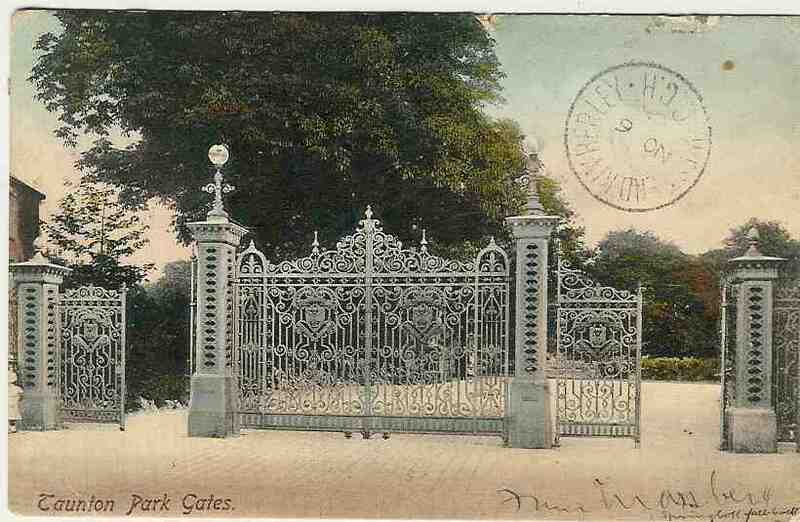 After joining as a private he later rose to the rank of Colonel and the company became known as "Mobbs Own". 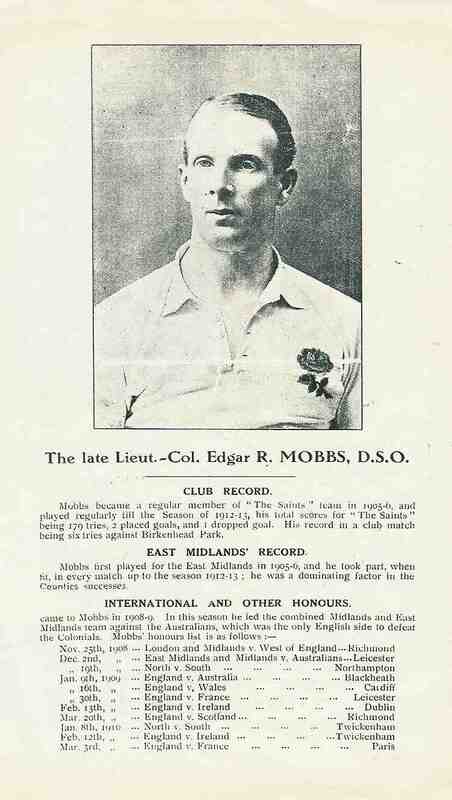 Awarded the DSO in the New Year's Honours list of 1917, Mobbs was killed in action on the first day of the Third Battle of Ypres on 31st July 1917. 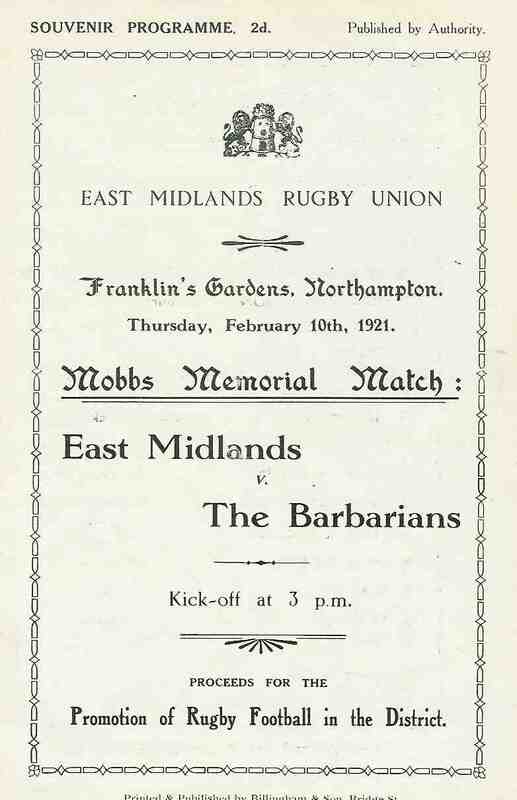 In a tribute to this great man a statue was unveiled in the centre of Northampton and each year a memorial match takes place between an East Midlands side and the Barbarians in his honour. TOM RICHARDS is one of only two players to have represented both the British Isles & Australia*. 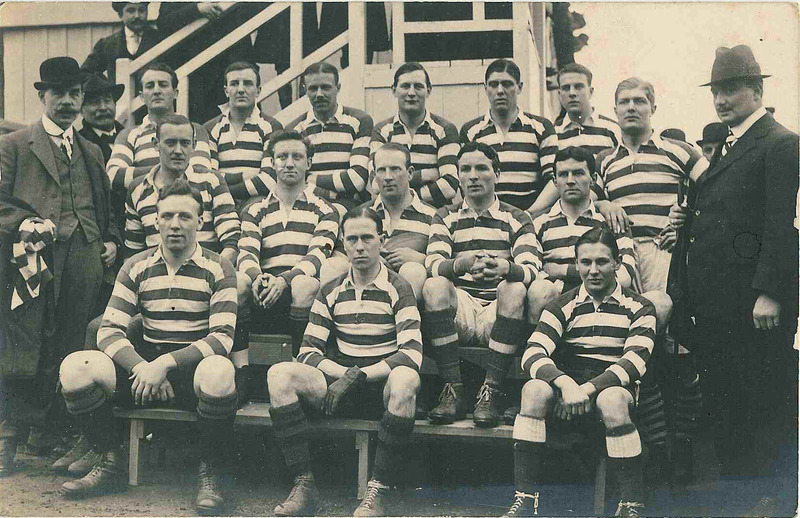 A member of the 1908 touring Wallabies 'Rusty' Richards played in the first Olympic gold medal winning rugby team when the Australian tourists beat a Cornwall side representing Great Britain in the Olympic 'final'. 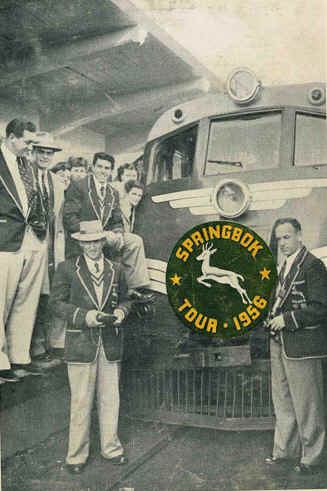 In 1910 while he was working in South Africa and playing for Transvaal, Dr Tom Smythe's touring team called on his services while they waited for replacements from Britain. 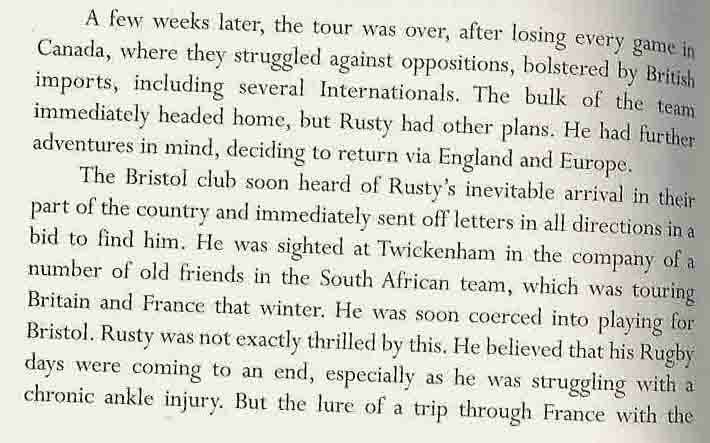 He tenuously qualified as British having played for Bristol and Gloucestershire 1905-06, including an appearance against the 1906/7 Springboks. In an amazing co-incidence Richards was also almost a 'Springbok'. 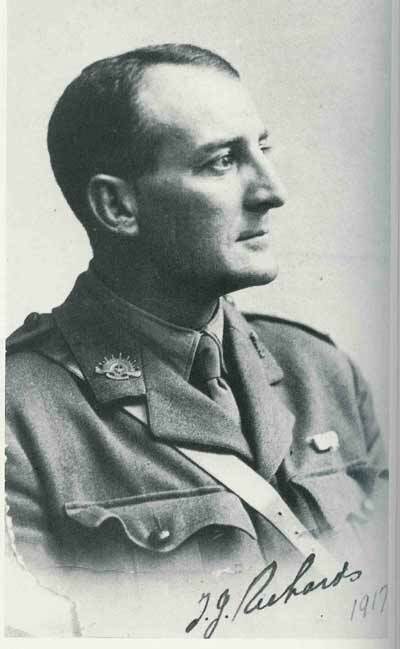 Prior to the tour he was working in South Africa and was a certainty for the tour but was ruled ineligible During the first world war he was one of the first to land at Gallipoli and was awarded the Military Cross for conspicuous bravery during the battle of Bullecourt. He was gassed badly during the war and suffered ill health until his death in 1935. 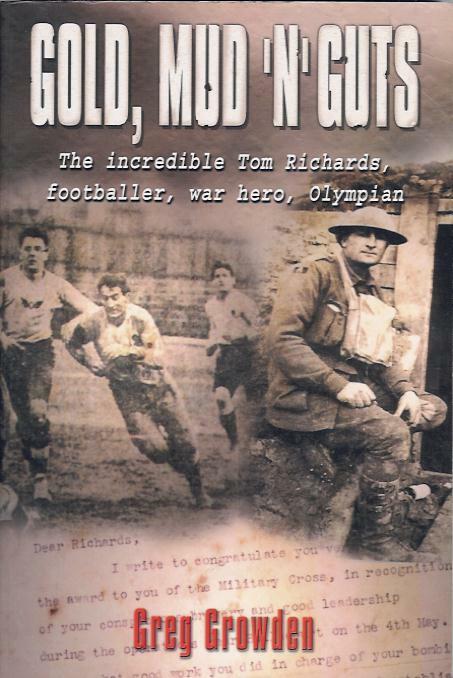 In 2001 the British Lions and Australia competed for the "Tom Richards" Trophy in honour of this great man. 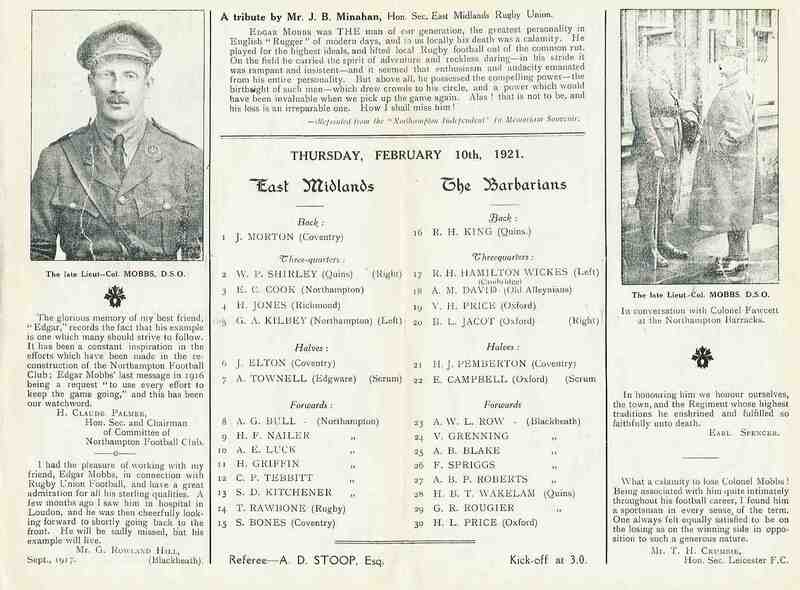 Item 5 - East Midlands Rugby Union Centenary booklet 160 pages, includes 3 pages on the life of Edgar Mobbs. 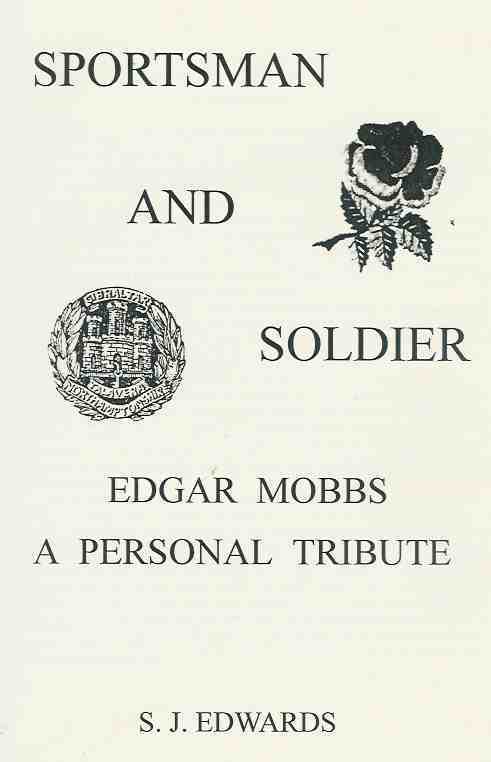 Item 6 - "Sportsman and Soldier, Edgar Mobbs, a personal tribute" by SJ (Jenny) Edwards - A biography of Mobbs by his niece, well put together, a labour of love by Jenny who has inherited Mobbs' wartime papers. 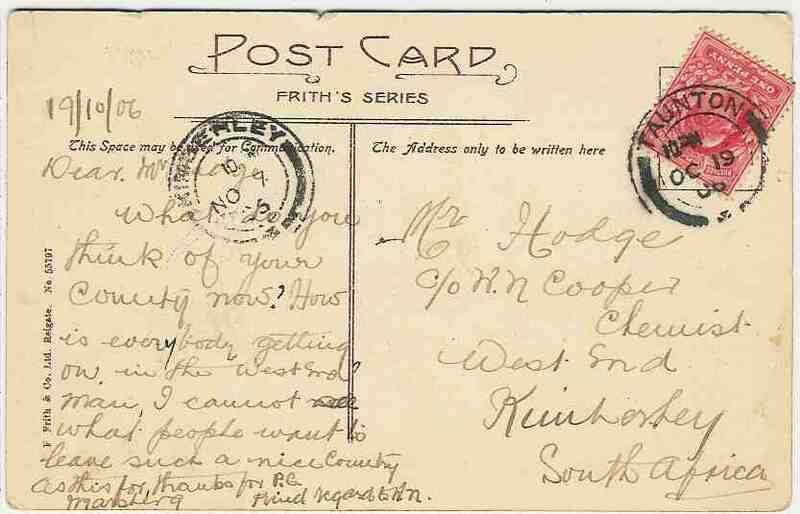 A lot of these are scanned into the book, letters, trench maps, tributes etc. Approx 100 pages, an A4 size hardback book published without a dust wrapper. 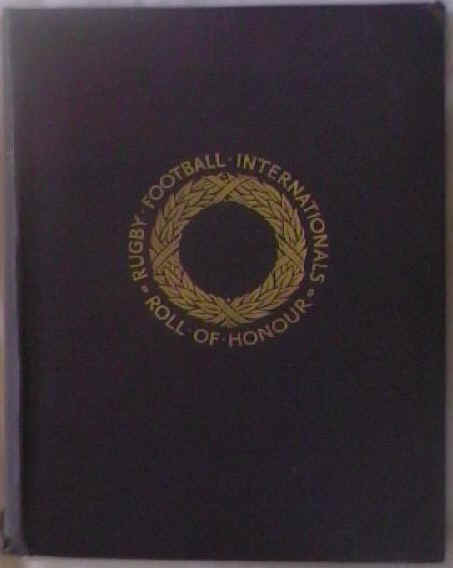 Item 7 - Book - "Rugby Football Internationals Roll of Honour" by EHD Sewell, A tribute to all the rugby internationals who died during the Great War 1914 - 1919. 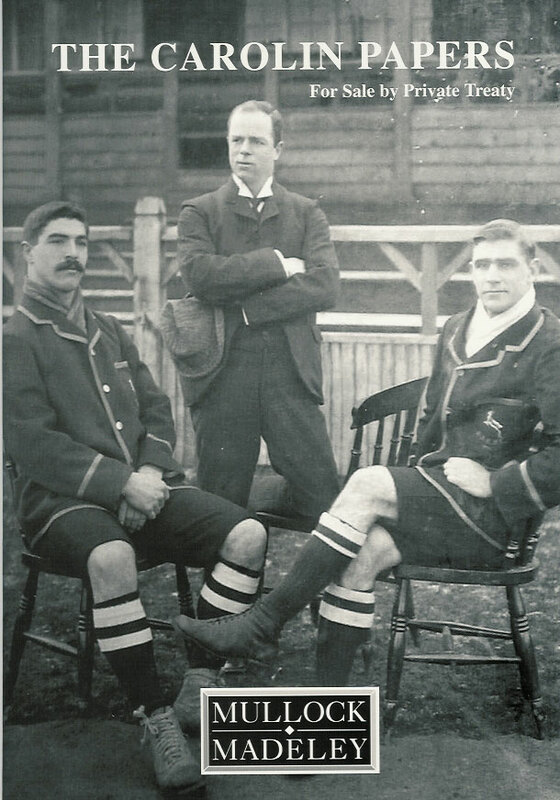 Photographs and biographies of each player containing details of their rugby careers and war record. Includes some of the games great names, Ronald Poulton-Palmer, Edgar Mobbs, Bedell-Sivright, Charlie Pritchard. 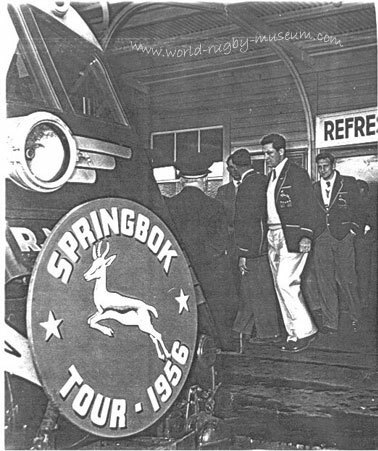 Obituaries of players from the following countries, England (26), Scotland (30), Wales (11), Ireland (9), New Zealand (9), South Africa (4), 89 in total. A beautiful publication with illustrated boards. This is a worn copy, the personal copy of Ross McWhirter, the Guinness Book of Records founder and Oxford University historian. 11 plates of Oxford men have been removed from the book and have been used to illustrate these players biographies in the Oxford University history, unfortunately they were not replaced. 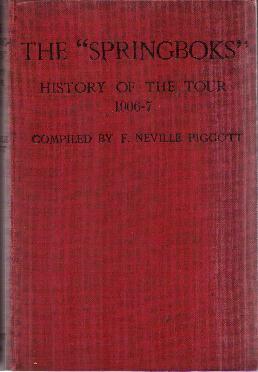 The Oxford University Centenary History accompanies this book. Simon Robinson, Nothampton for info on Tebbitt, Pettit & Cook. * Tom Richards was widely regarded during the 2001 British Lions tour of Australia as the only player to have represented the two countries but in fact the honour of being first to do so lies with Blair Inskip Swannell. 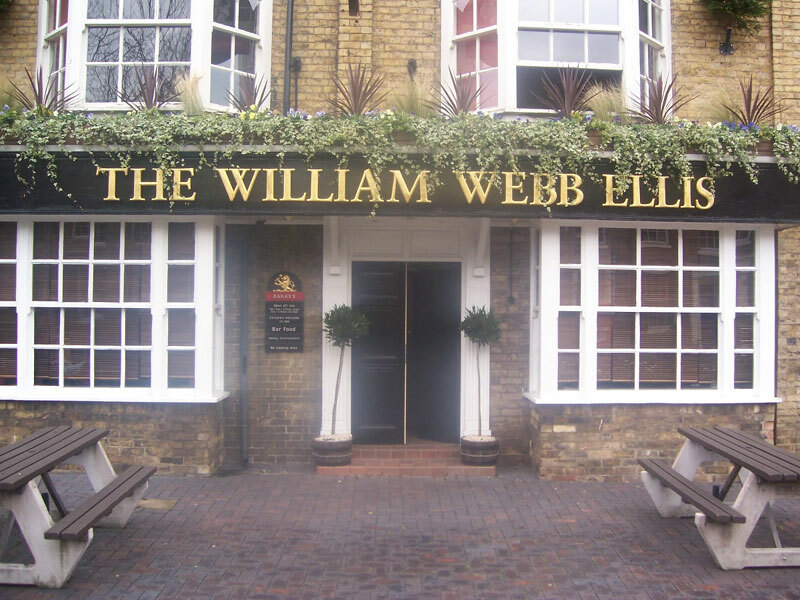 Swannell was a Buckinghamshire farmers son who trained for the merchant navy and sailed clippers around the world before embarking on a rugby career playing for Olney, Weston Turks, Northampton and East Midlands. 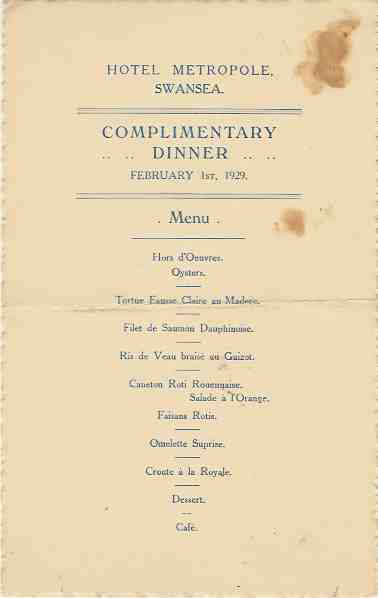 He toured with Great Britain in 1899 and again in 1904 having missed the 1903 tour as he was in Patagonia and Uruguay. 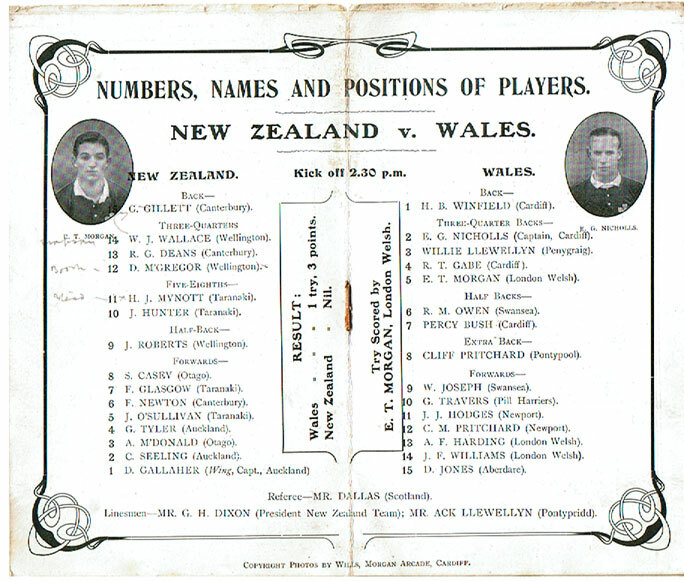 During the 1904 tour he played most notably against New Zealand in the first international played in New Zealand. After returning to the UK he chose to emigrate to Australia, living in Darlinghurst, Sydney and playing for Sydney North Shore (with spells with other teams) and coaching St Josephs School to several schools championships. 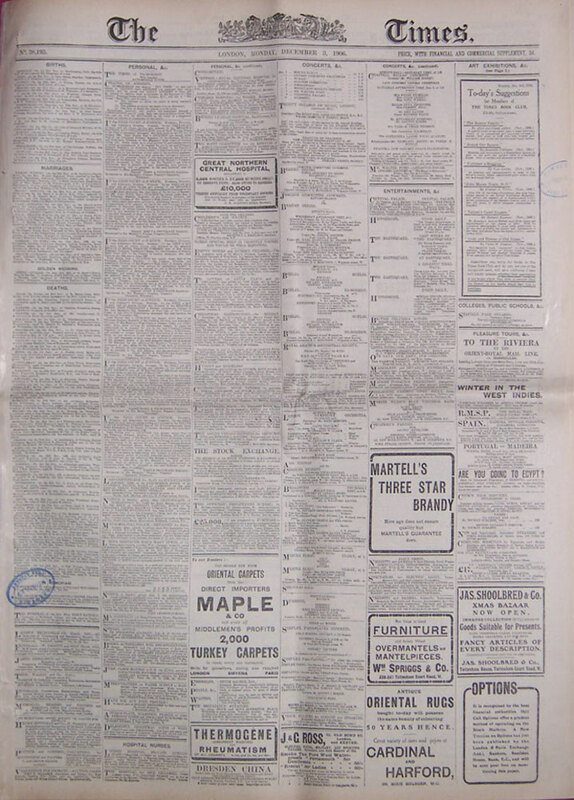 He was picked for Australia in 1905 for the trip to New Zealand and played there in the second international ever played in New Zealand, which I believe was his sole Australian cap. Thus 5 years before Richards Swannell had already played for both sides. 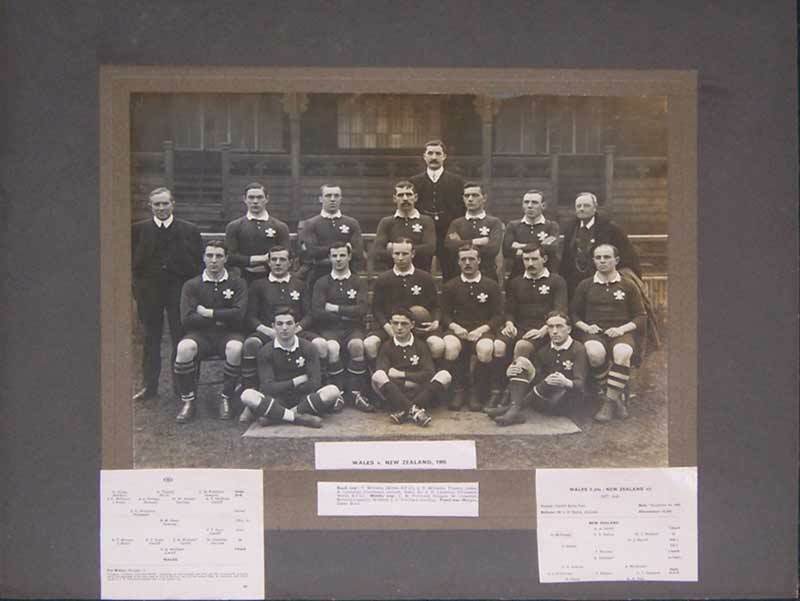 Swannell was also one of the featured players in the Twickenham museums exhibition several years ago on rugby players who died in the two world wars. Again, like Richards he landed at Anzac Cove Gallipoli as Major commanding D company 1st Battalion AIF (Australian Imperial Force) and was killed leading his men later that same day (25th April 1915). He is buried at Baby 700 Cemetery. Paddy Moran wrote of him in "Viewless Winds" - "For me who knew him well, this was his epitaph: He never hung out of a ruck". 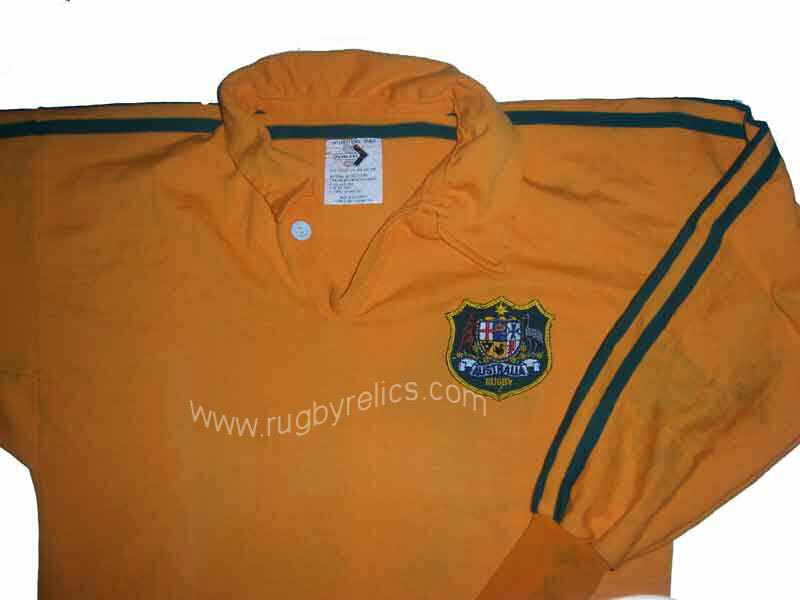 A 1984 Wallabies No 10 jersey believed to have been worn by the legendary Mark Ella in one of the test matches* (probably Wales) during the Grand Slam tour of the British Isles. On this wonderful tour the Wallabies thrilled spectators with their wonderful style of open rugby. 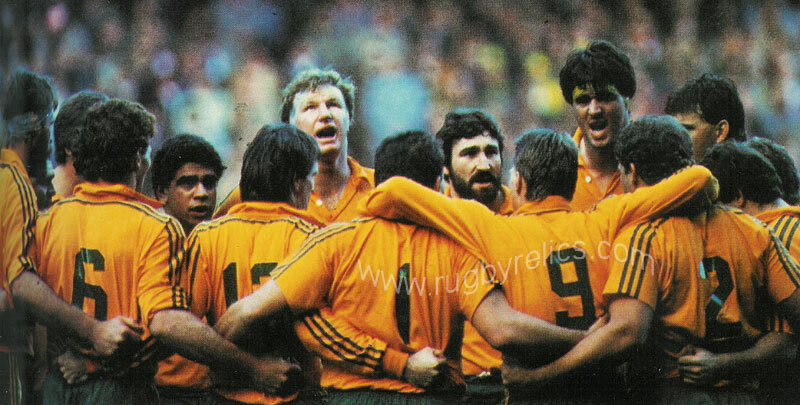 In winning all 4 tests the Wallabies out scored the opposition by a total of 12 tries to one. They rounded off the tour in style defeating the Barbarians at Cardiff 37 - 30. This was probably the greatest Wallaby team ever. 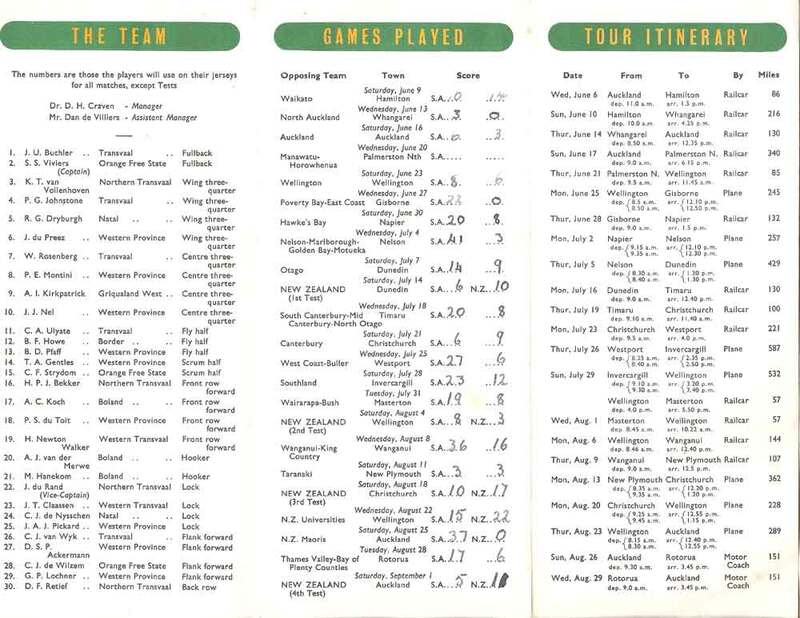 The tourists were captained by Andy Slack and several of the younger players went on to feature in the great Wallaby sides of the next decade, Lynagh, Campese and Farr-Jones were amongst these. 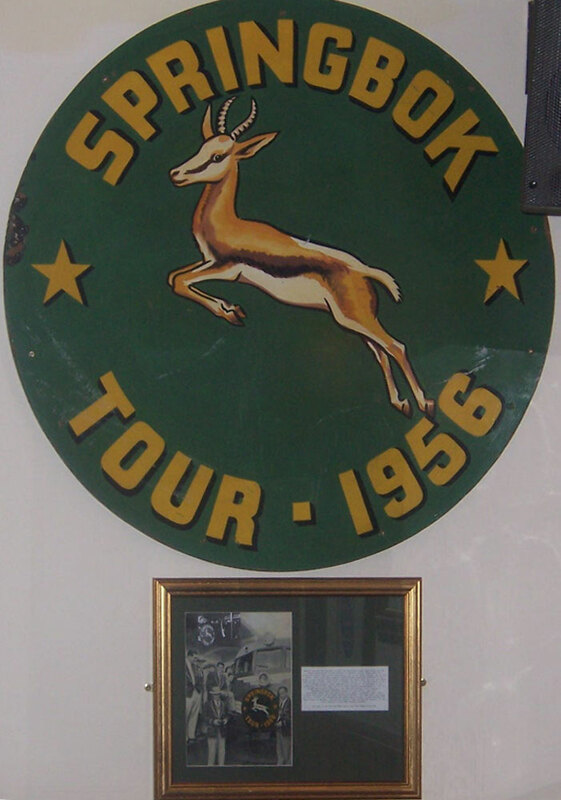 One of the features of the tour was the emergence of the Ella brothers, (Gary, Glen and Mark, the three had thrilled and excited the crowds on the Australian schoolboys tour of 1977-8). Mark Ella scored a try in each 1984 test and retired at the end of the tour at the tender age of 25. 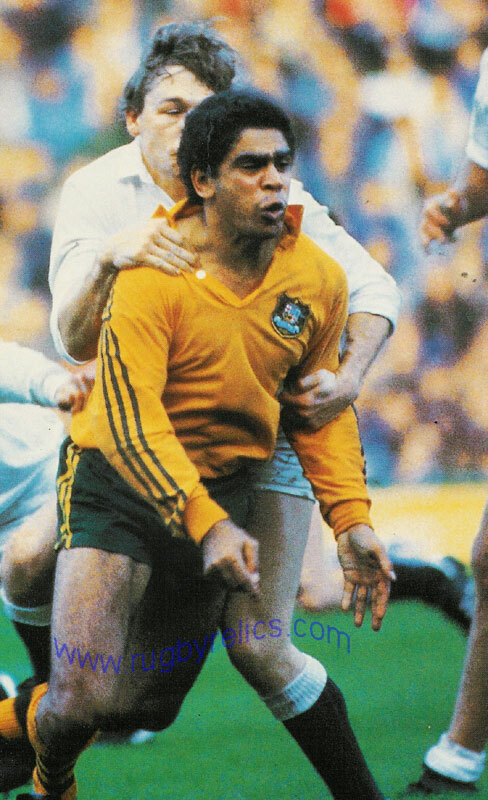 *Mark Ella was in the habit of cutting of the sleeves of his jersey at the elbow, as were several other of the Wallaby players. He played all 4 tests in a long sleeve jersey.